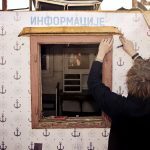 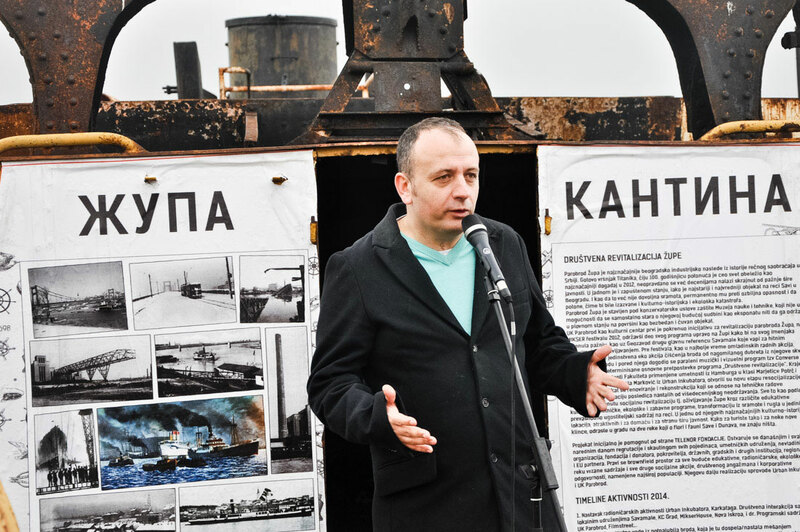 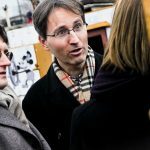 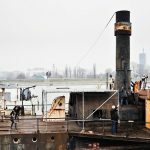 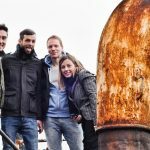 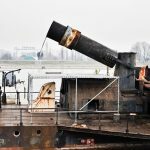 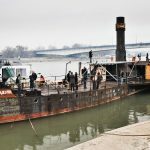 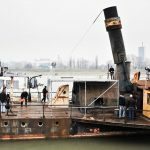 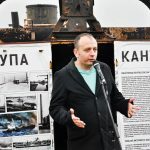 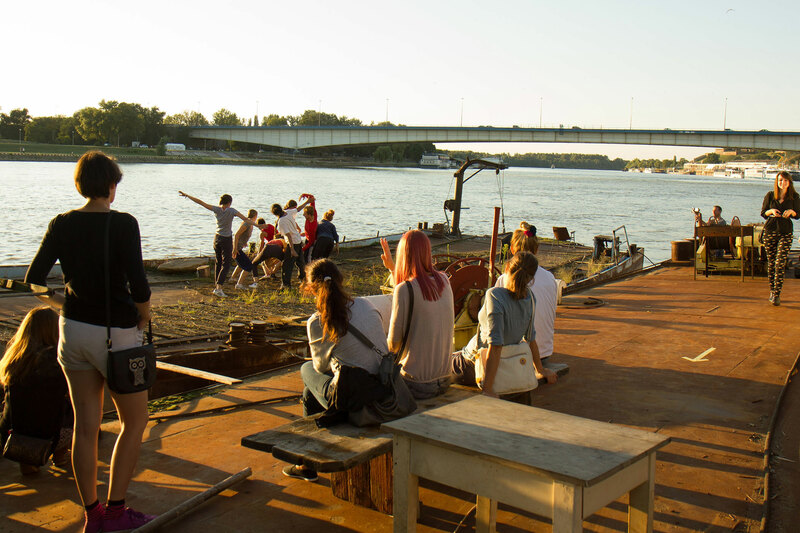 Župa project is a grass root initiative of preserving and transforming a one-hundred years old steam battleship into as a socio-cultural hub. 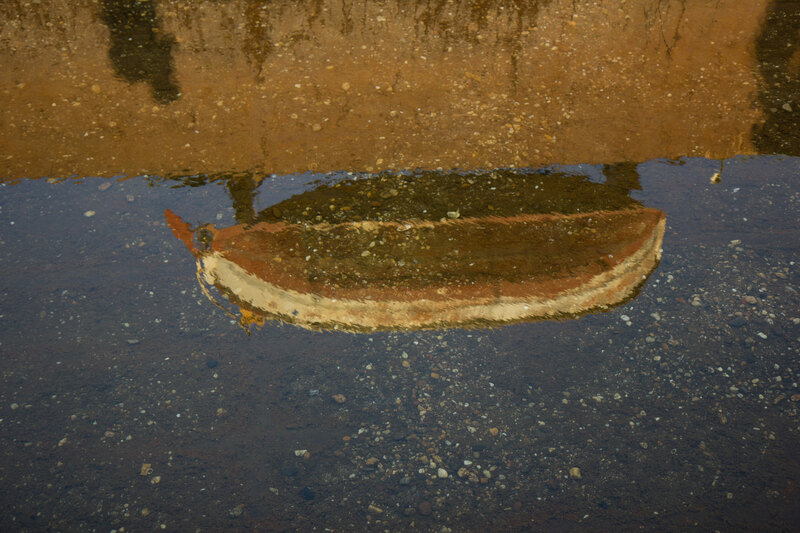 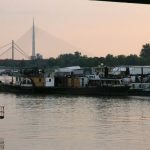 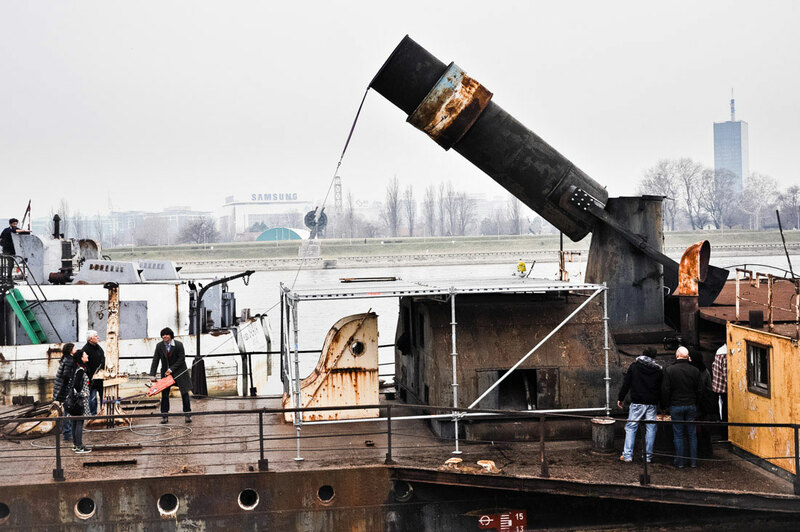 Although, proclaimed for national heritage the ship has been neglected for last decades and left to rotten on the left bank of the Sava River. 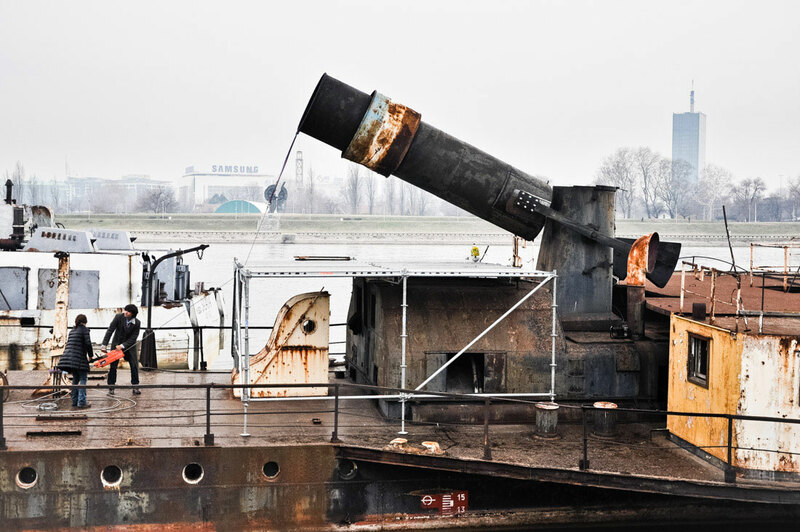 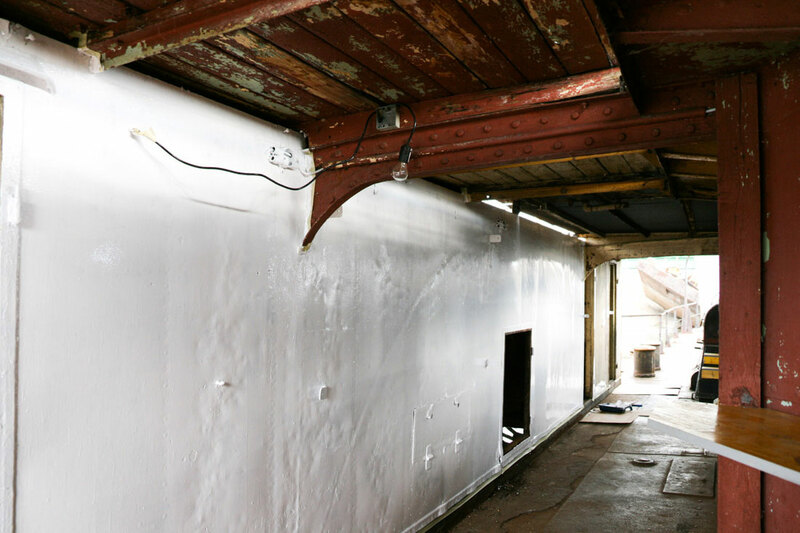 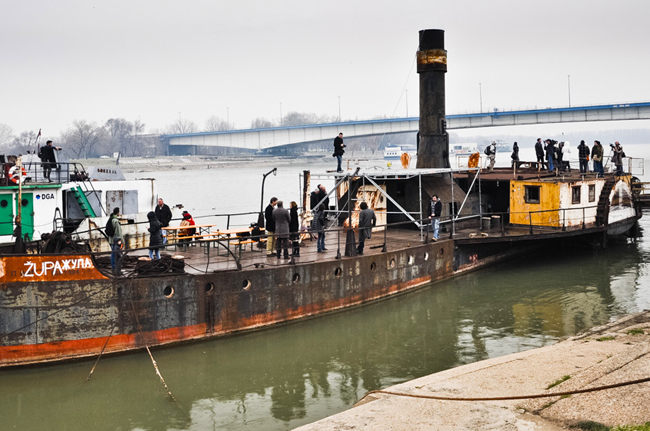 Župa project is a long term initiative of preserving and transforming a one-hundred years old steam battleship into as a socio-cultural hub. 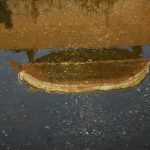 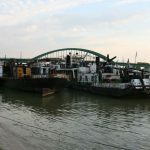 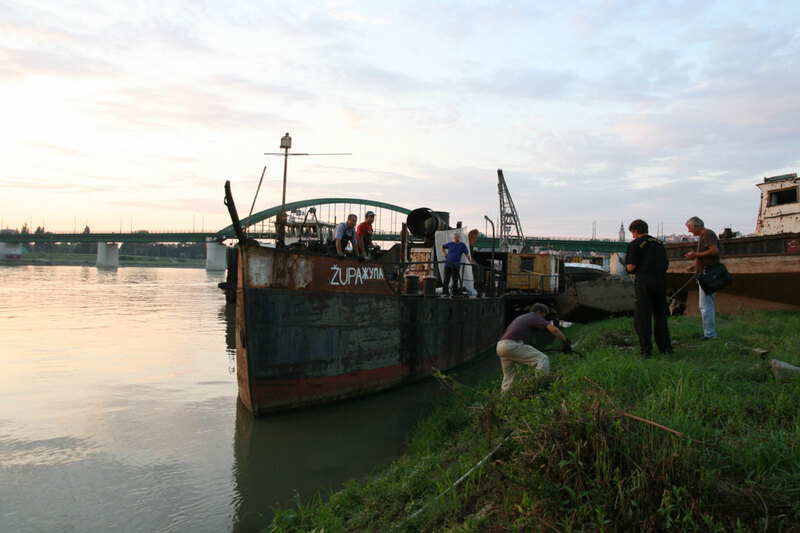 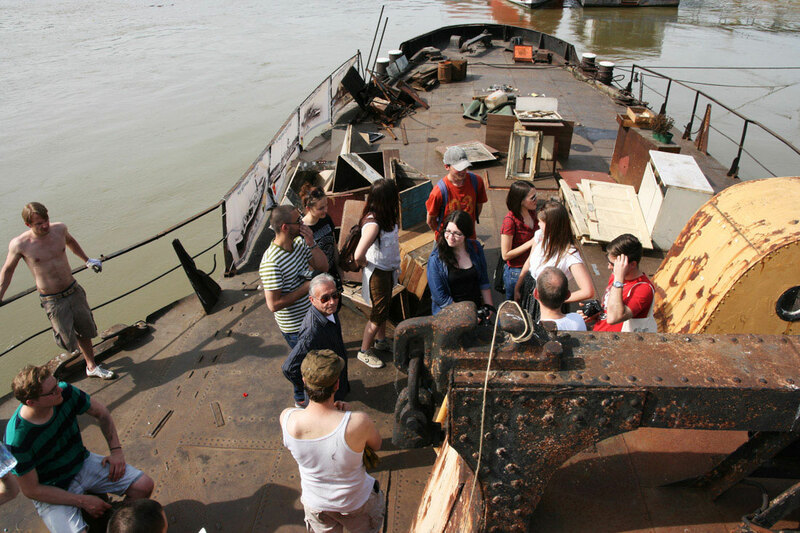 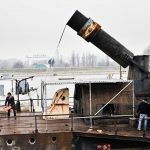 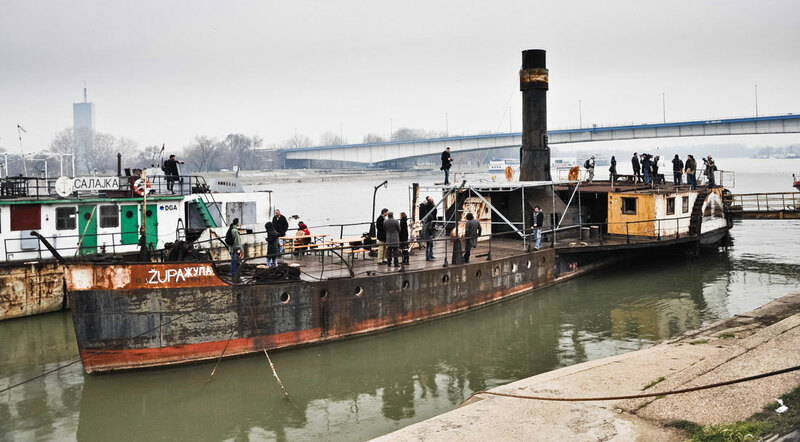 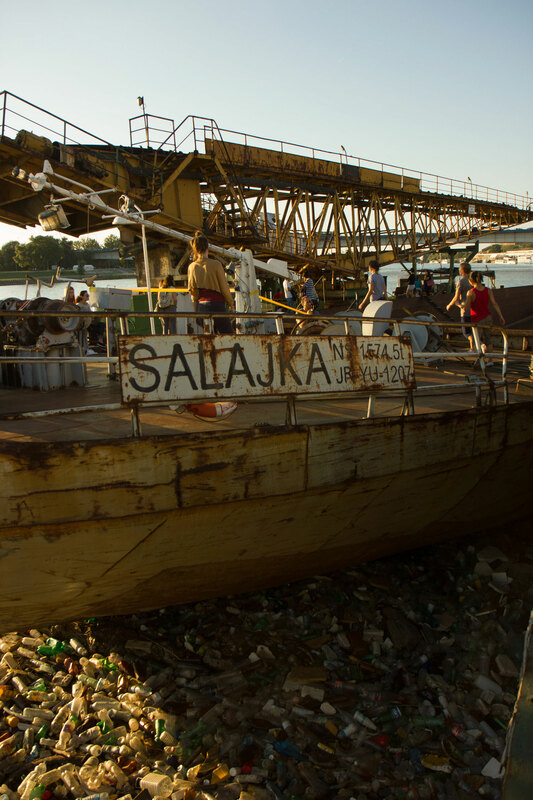 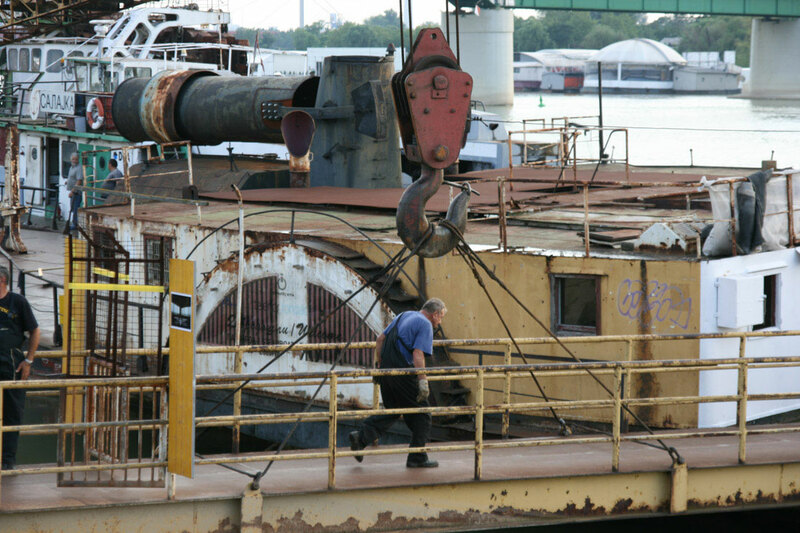 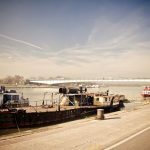 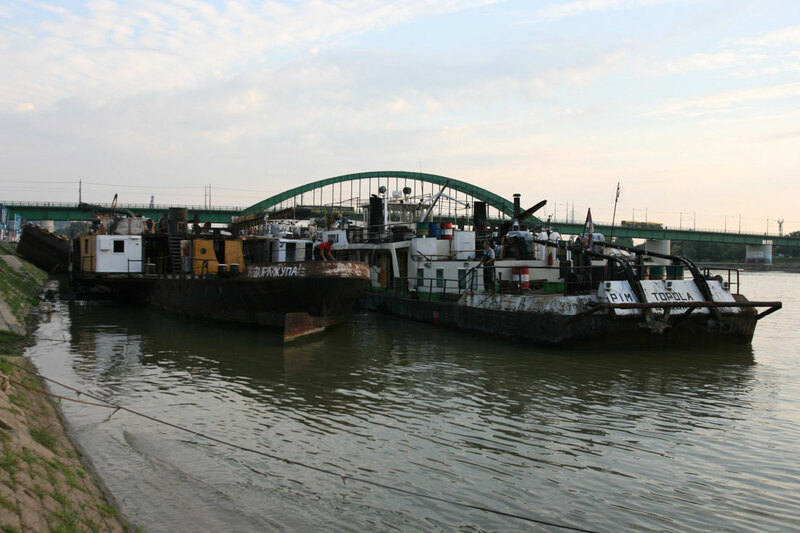 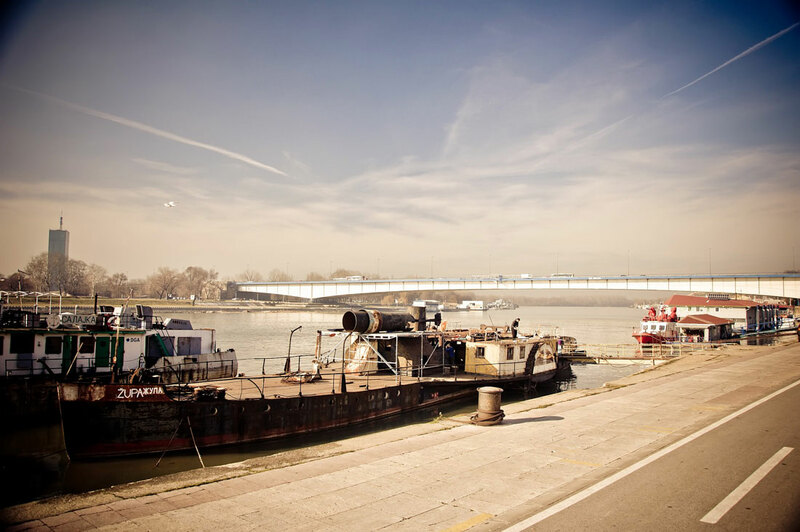 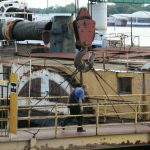 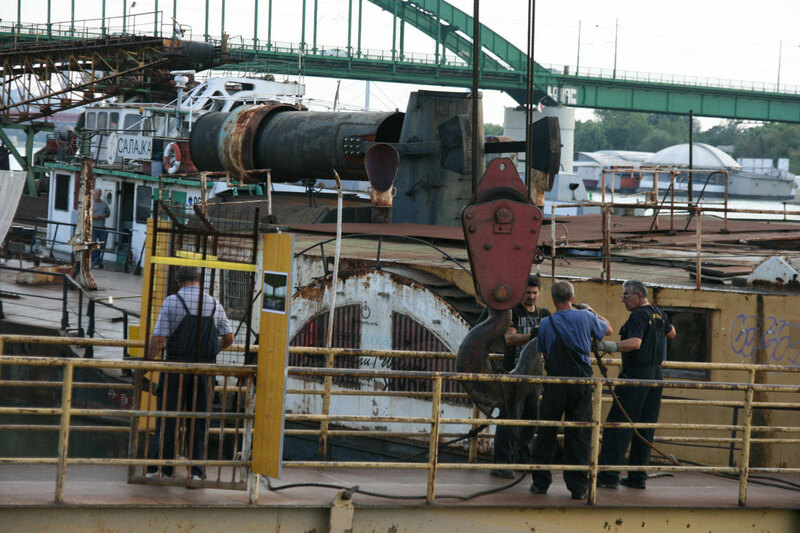 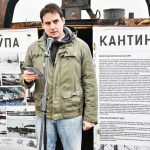 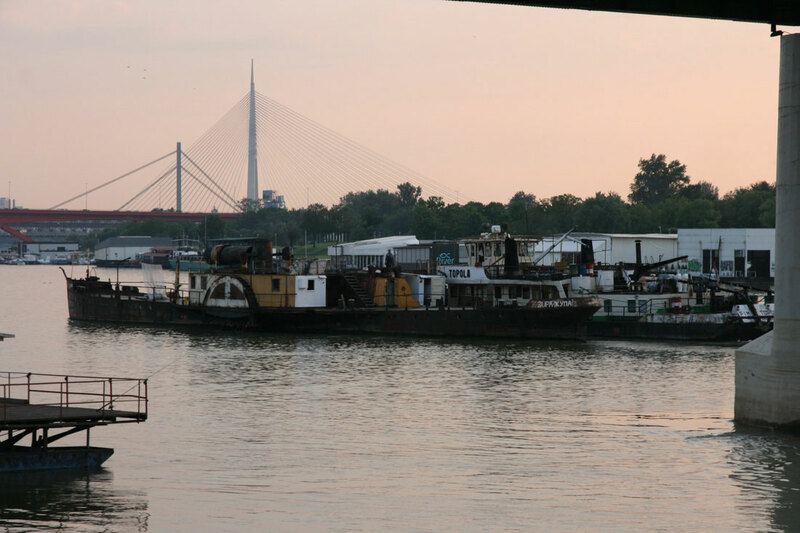 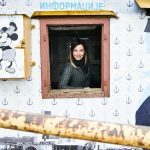 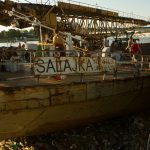 Although, proclaimed for national heritage the ship has been neglected for last decades and left to rotten on the left bank of the Sava River, in the central quarter of Belgrade, Savamala. 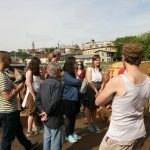 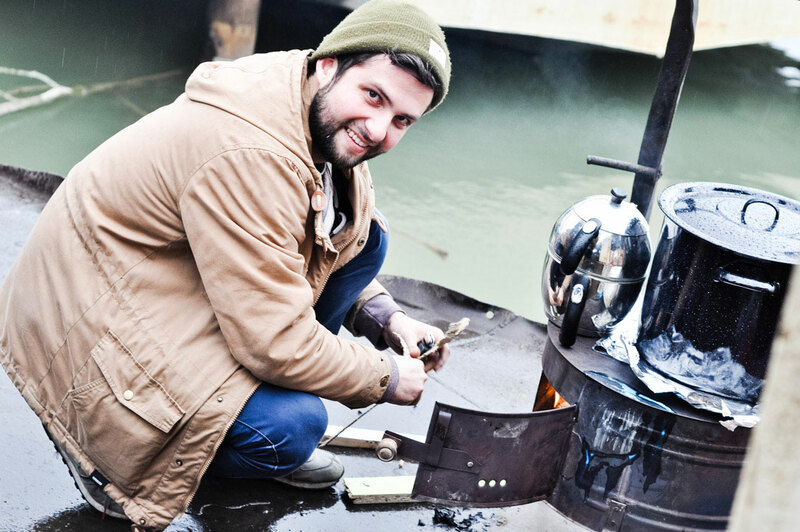 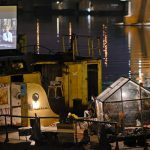 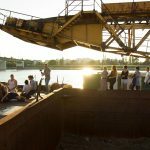 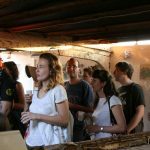 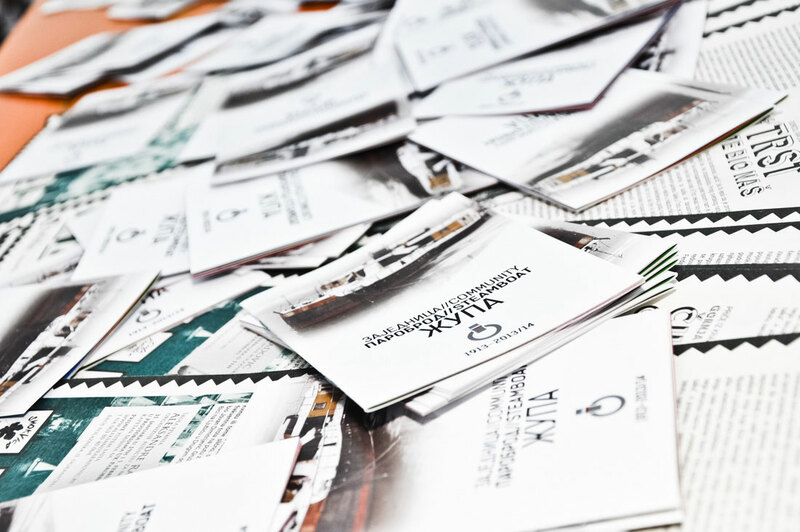 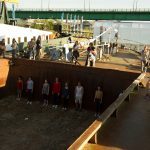 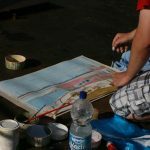 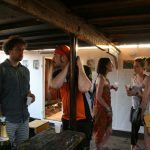 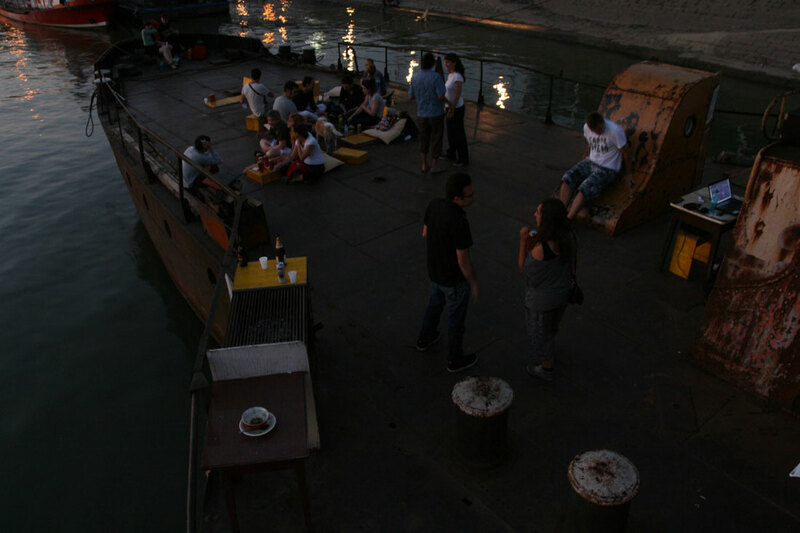 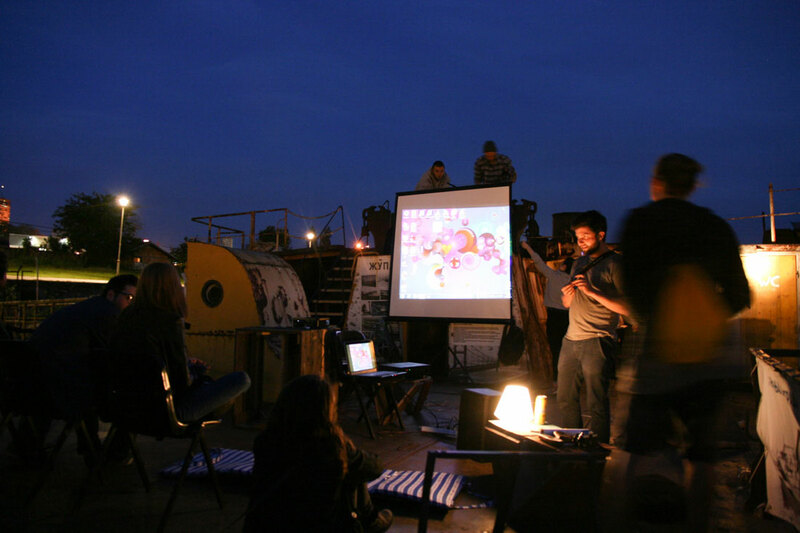 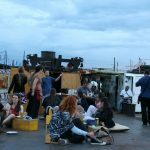 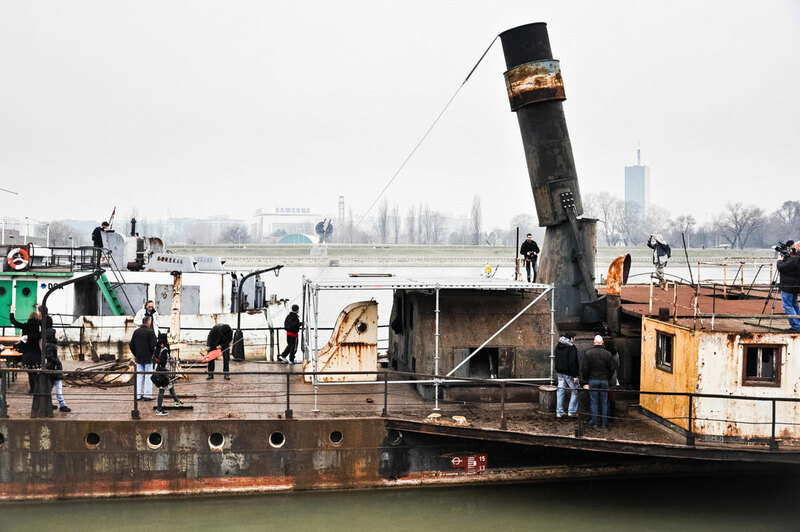 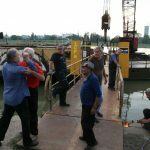 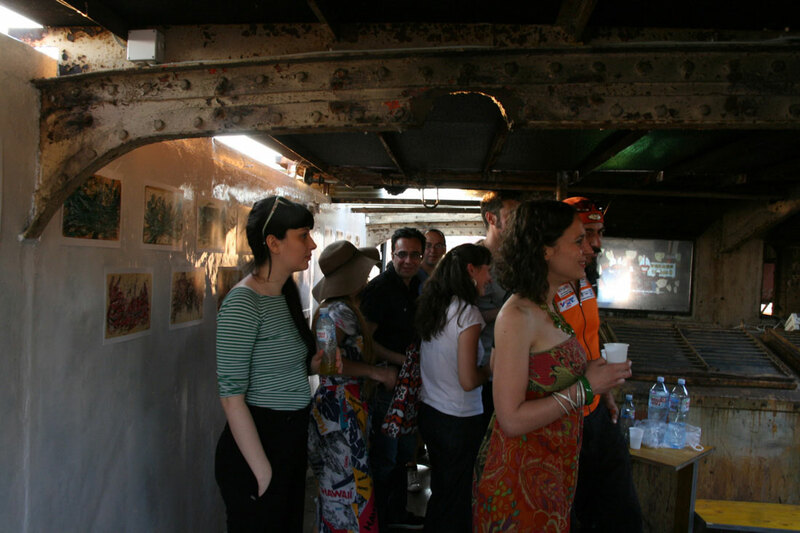 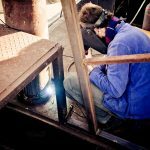 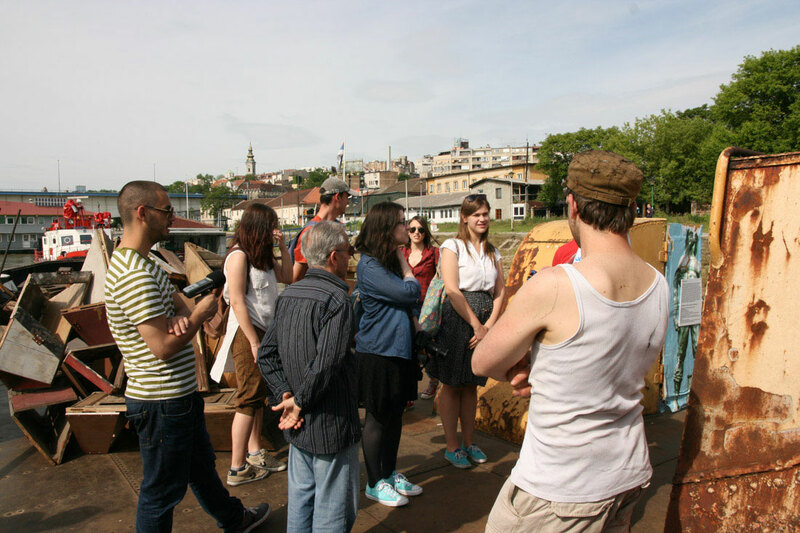 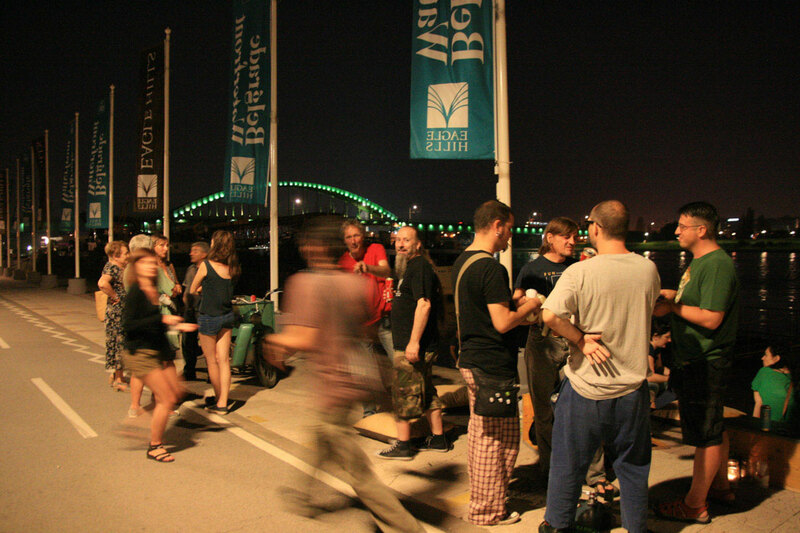 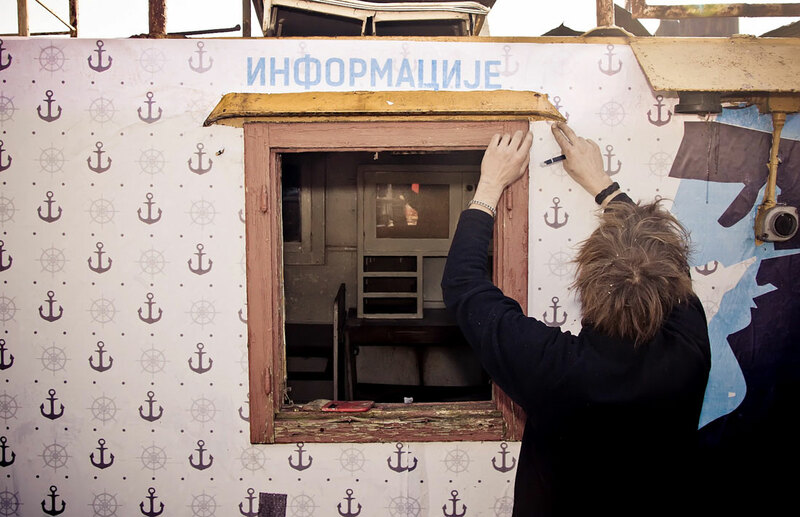 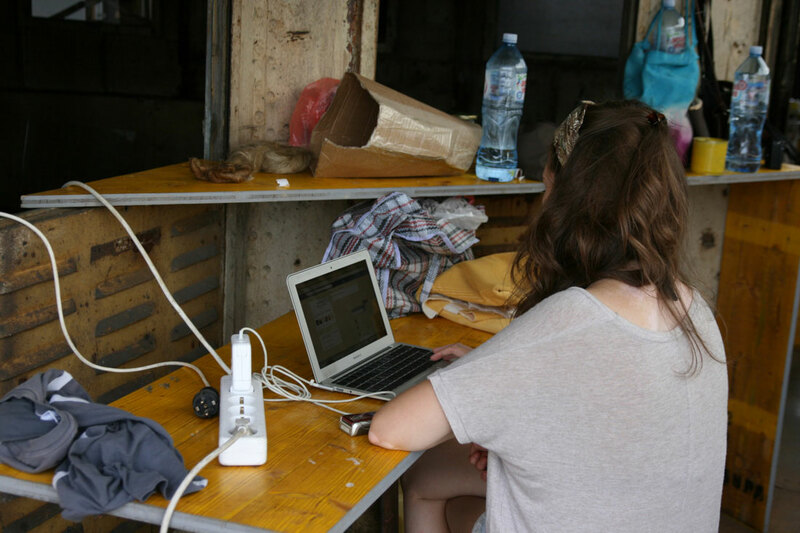 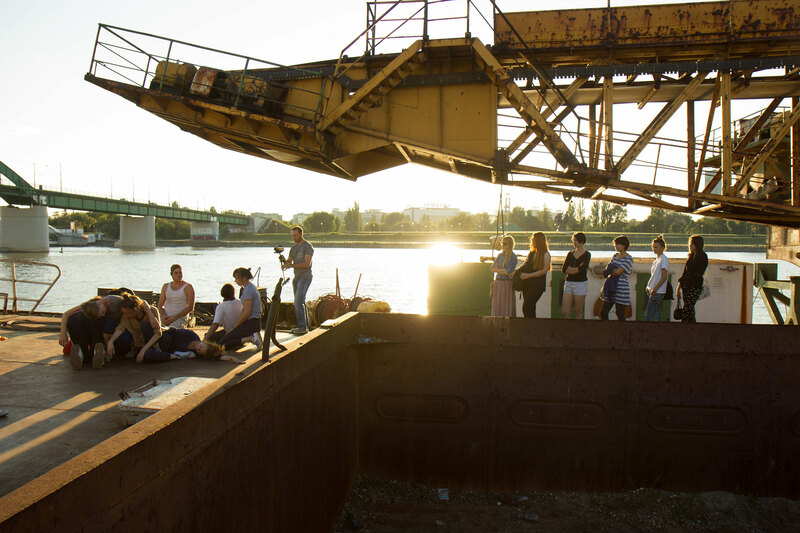 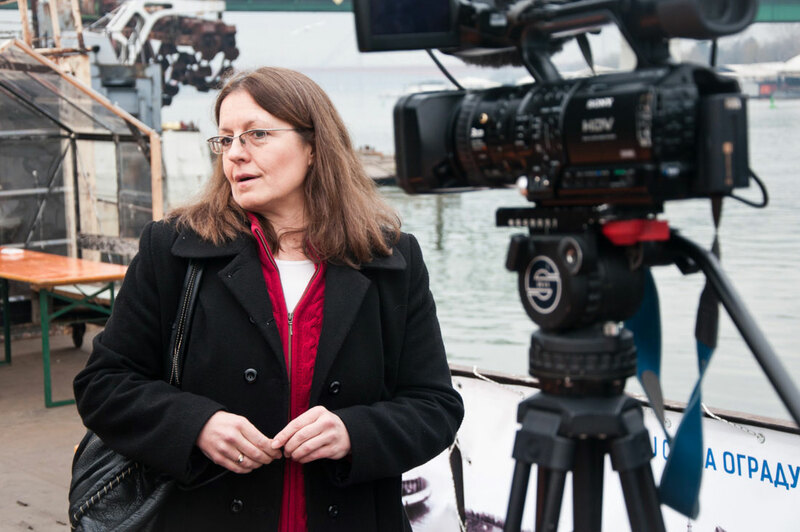 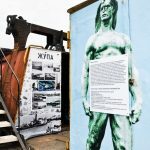 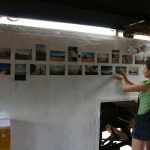 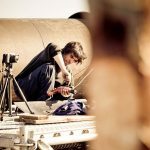 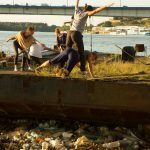 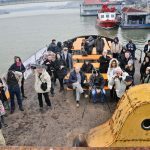 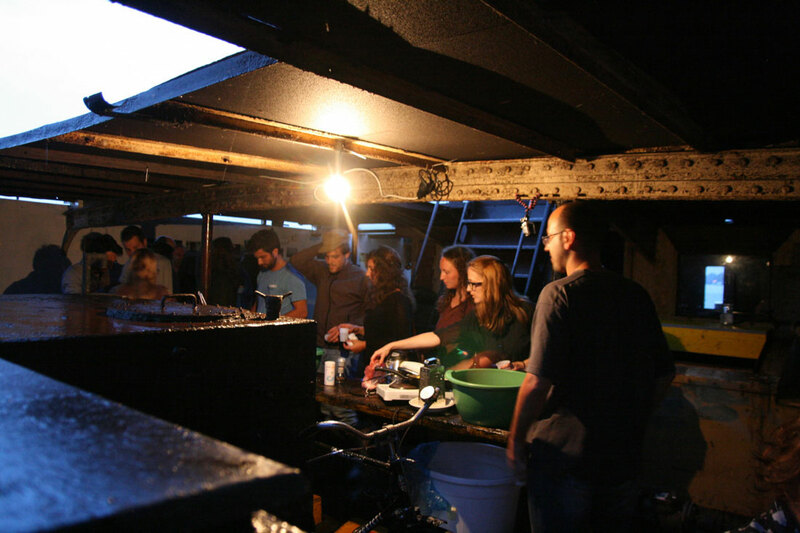 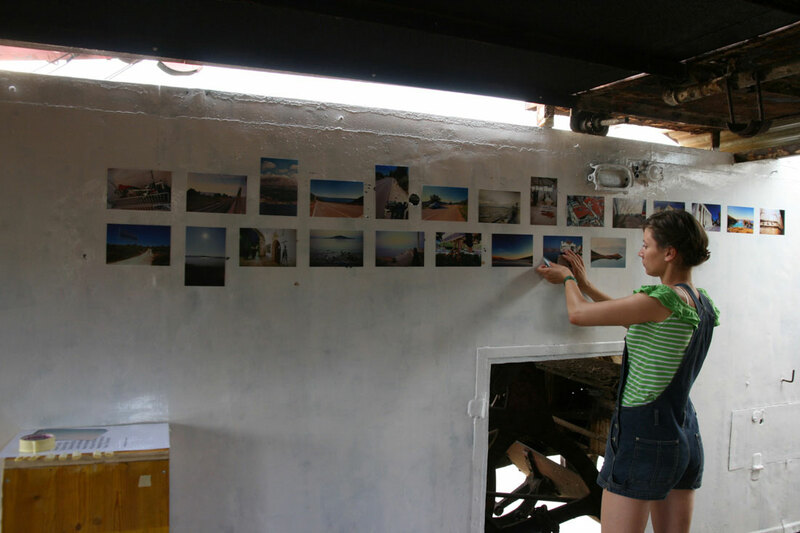 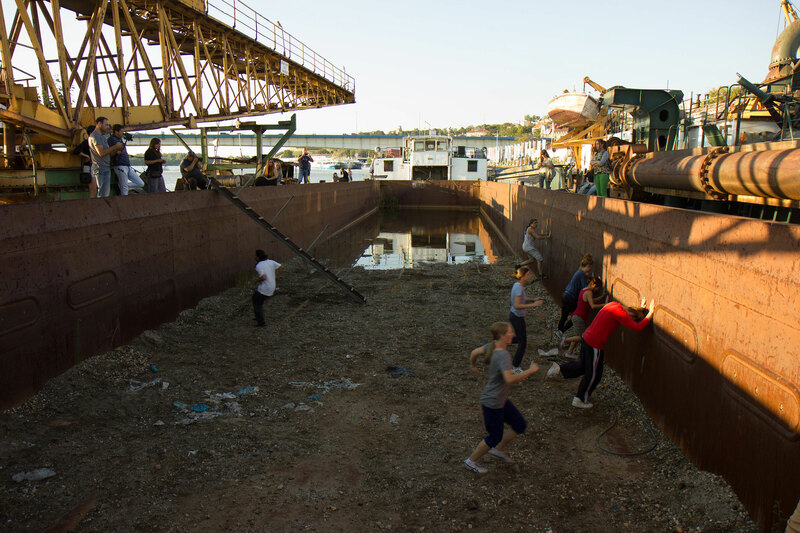 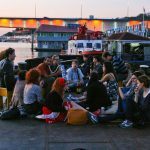 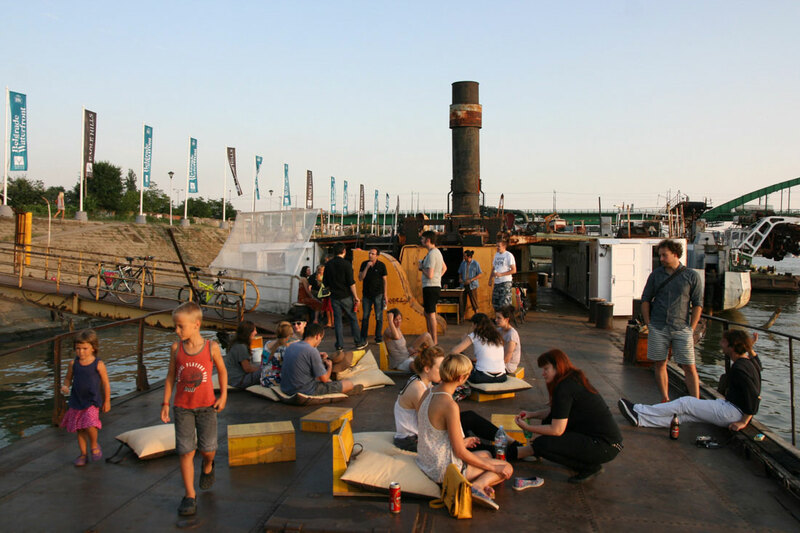 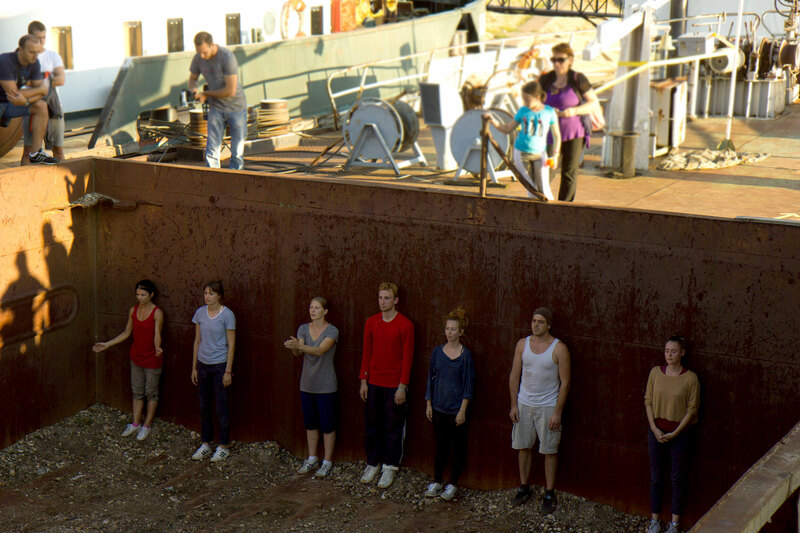 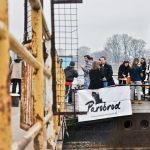 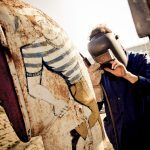 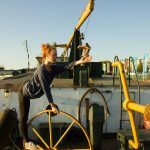 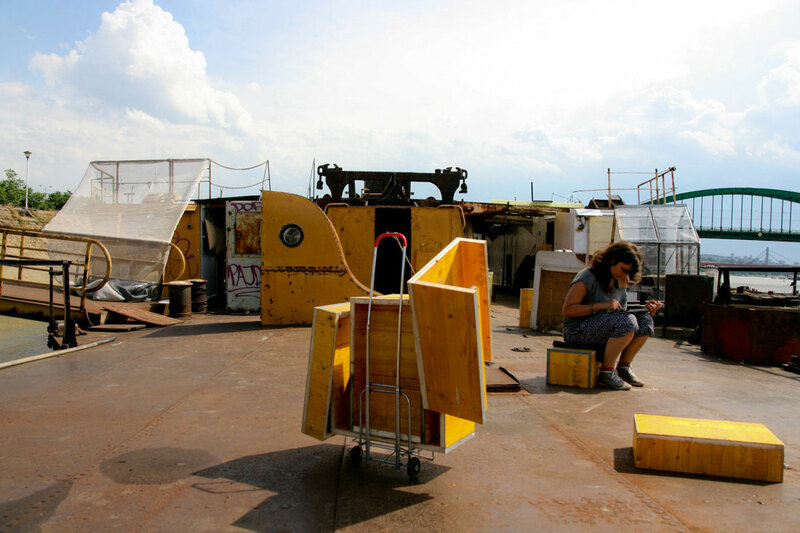 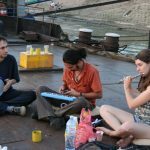 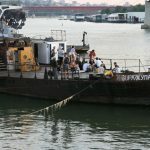 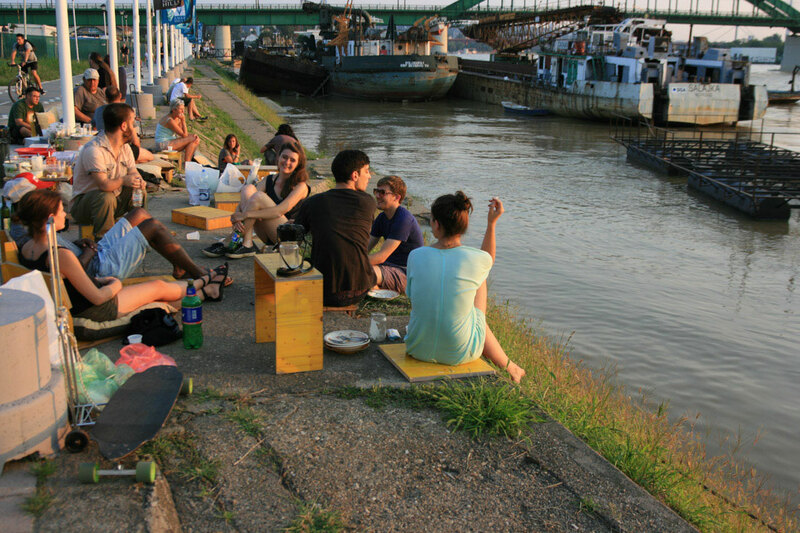 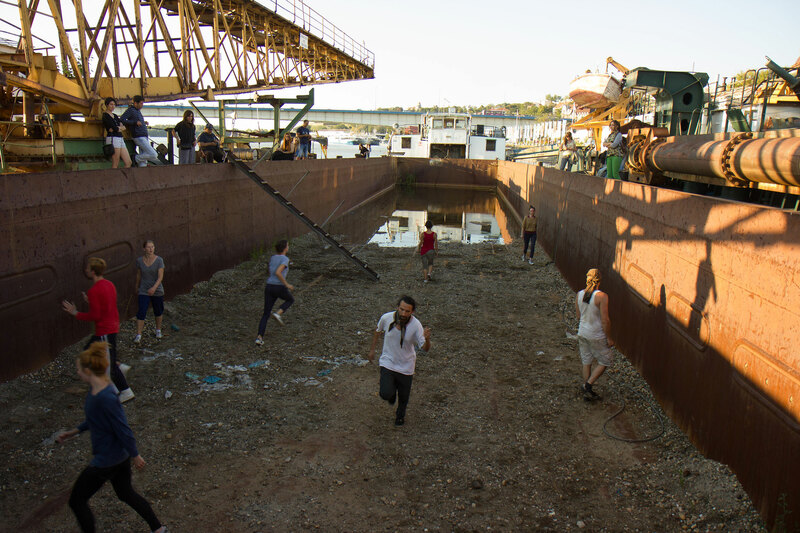 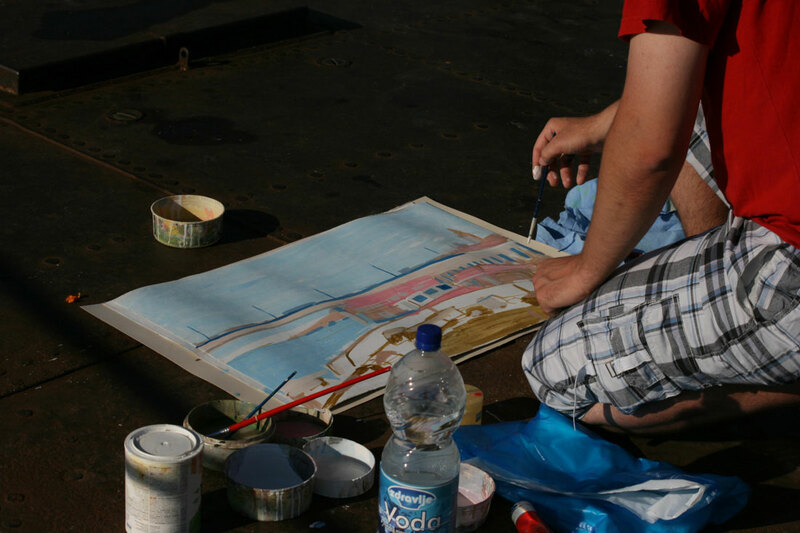 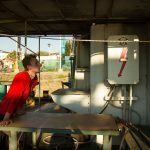 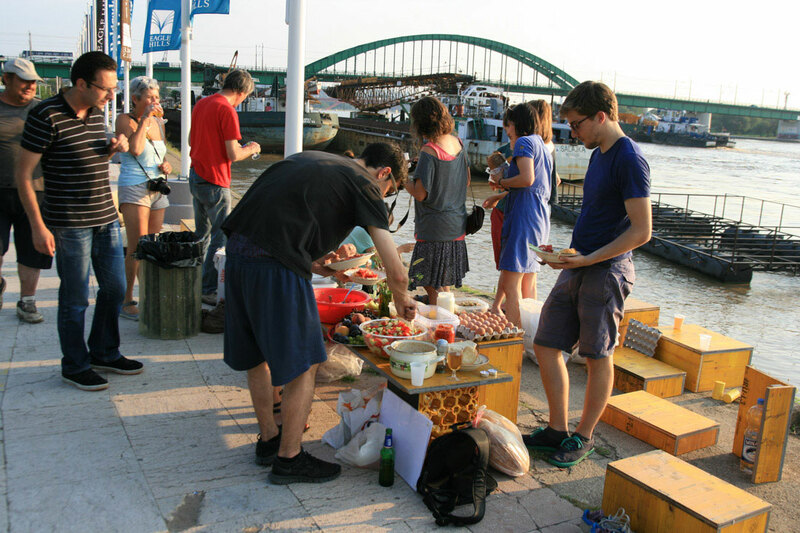 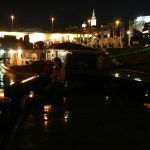 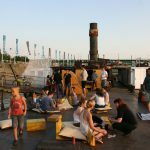 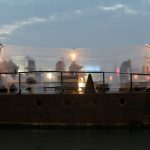 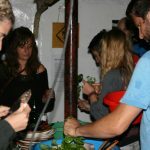 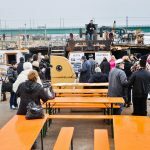 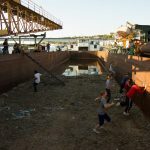 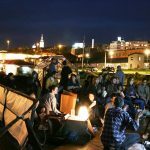 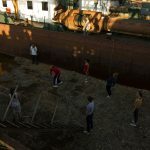 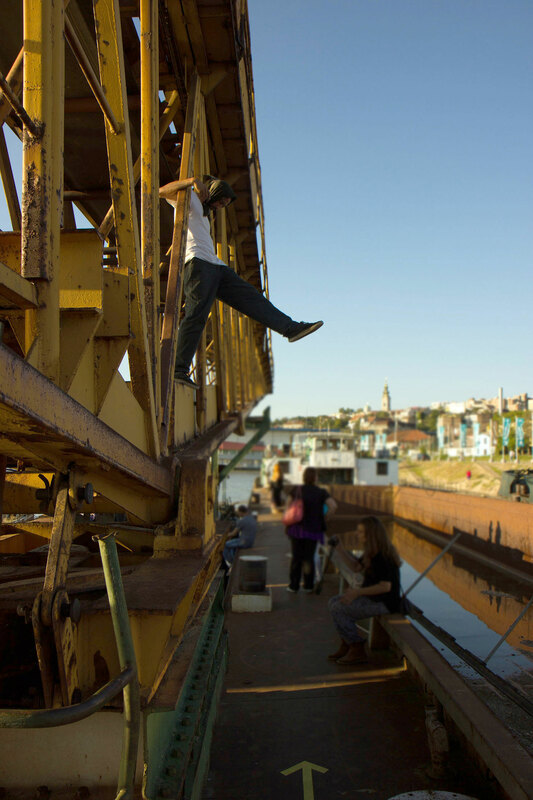 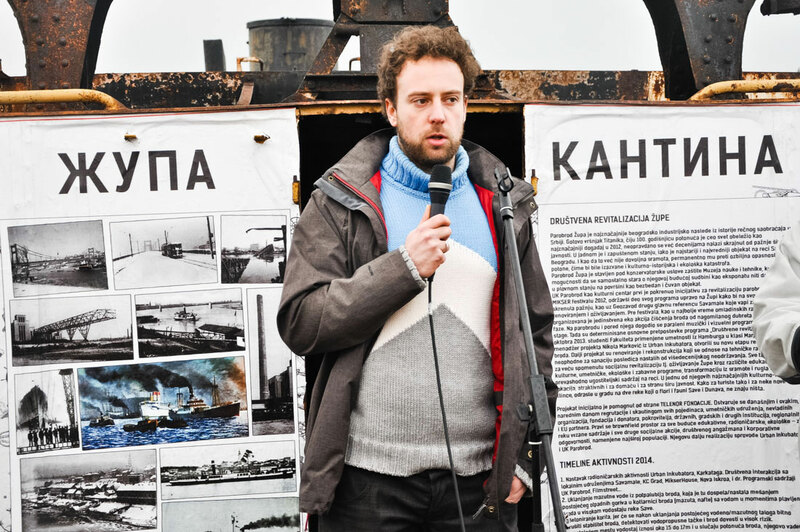 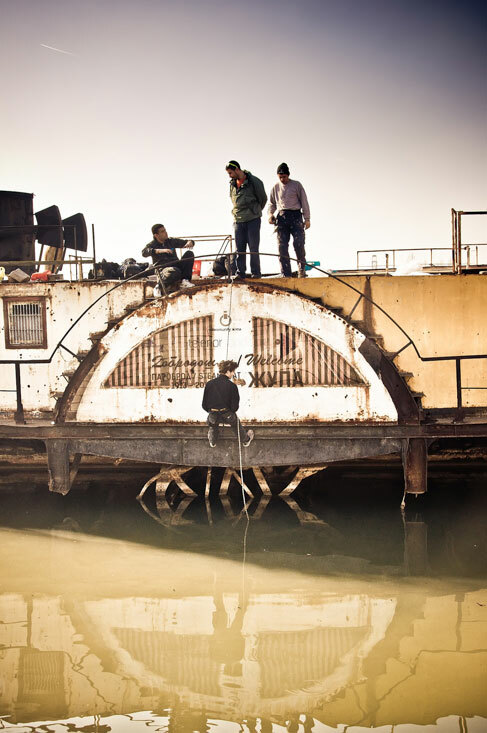 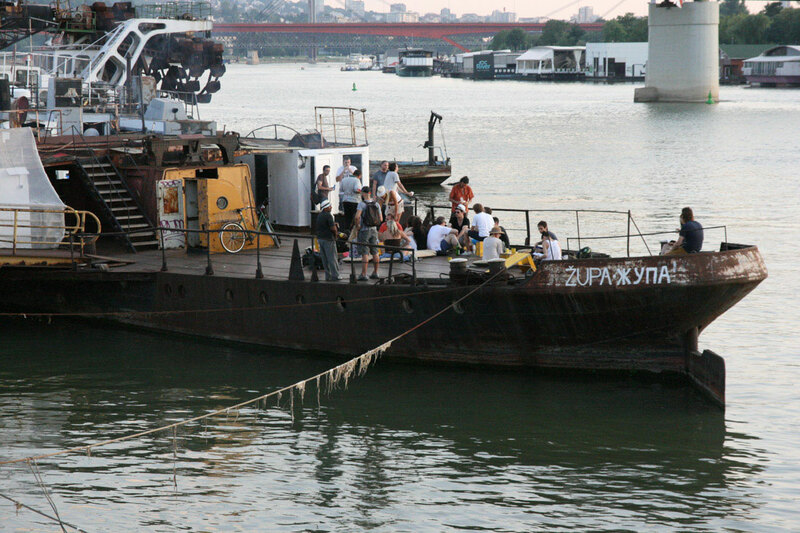 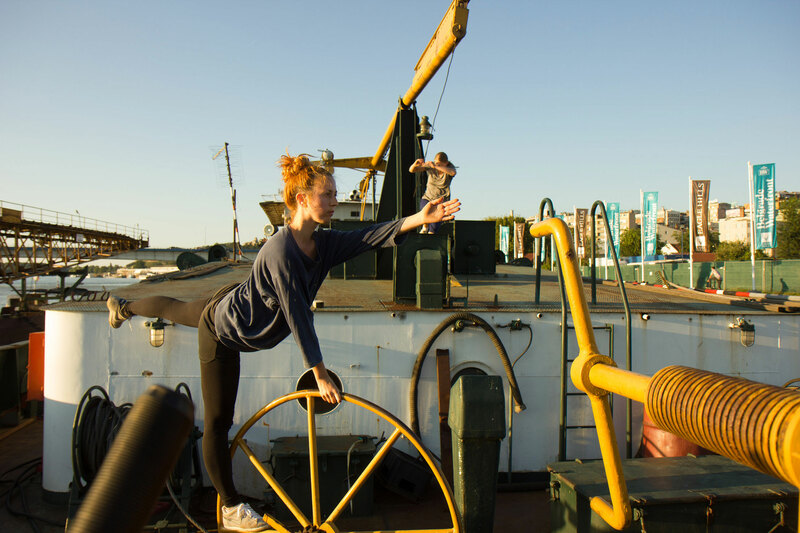 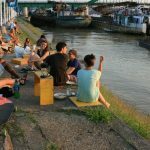 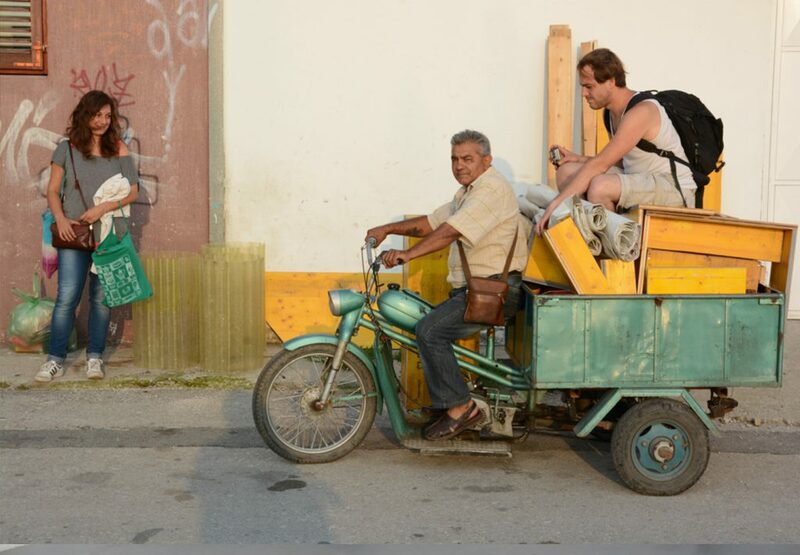 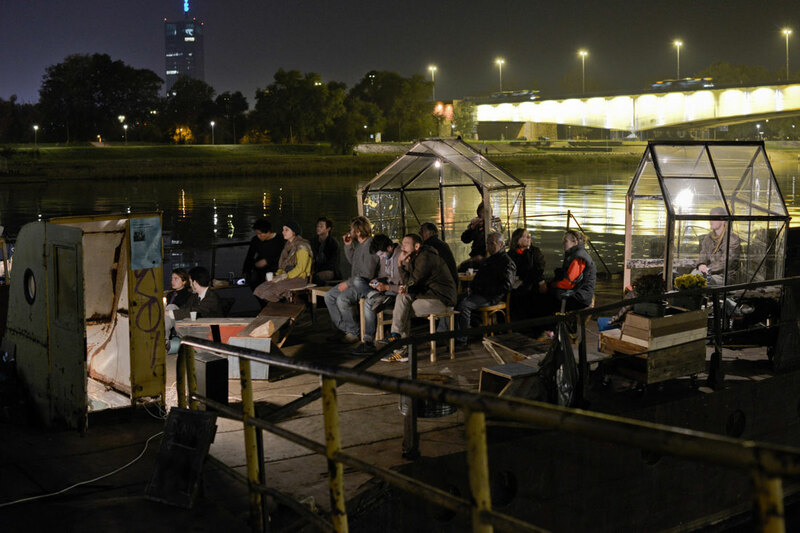 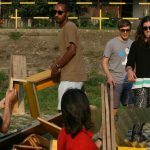 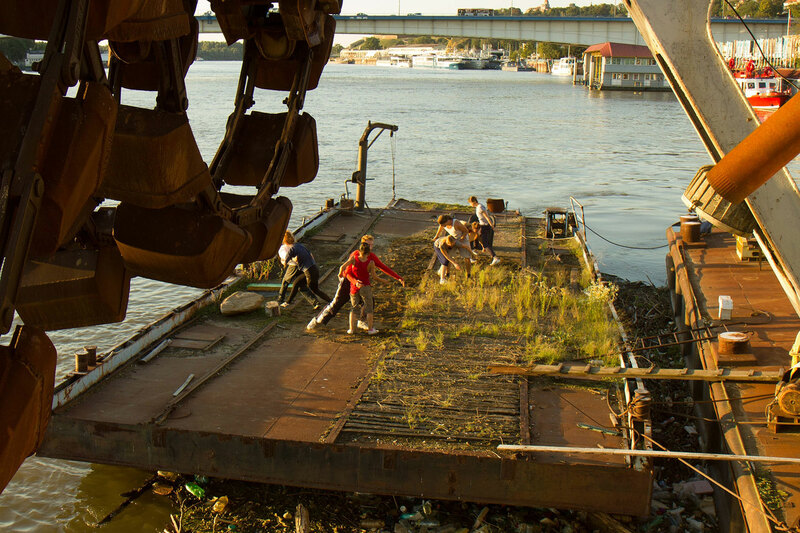 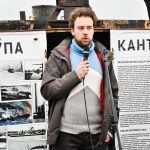 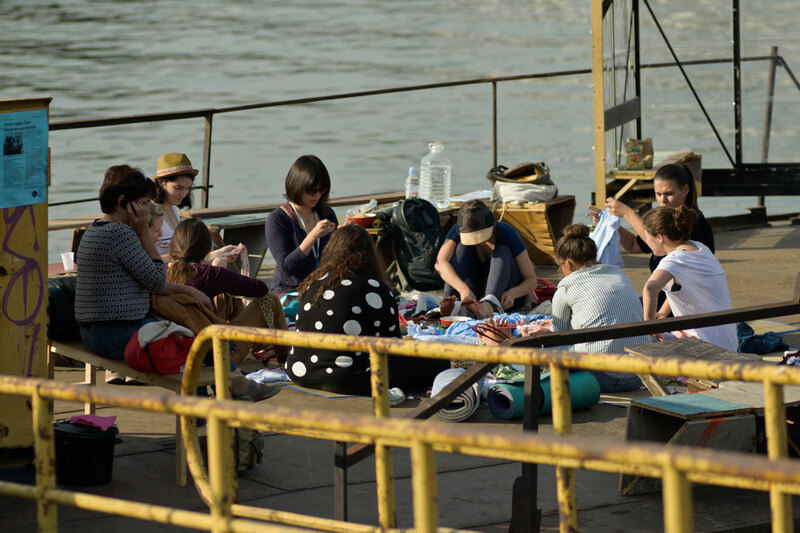 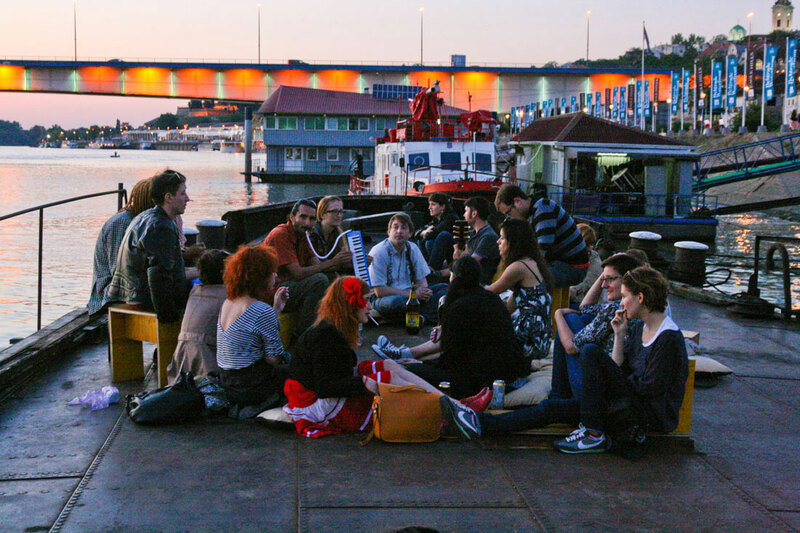 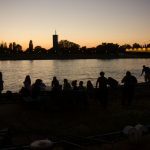 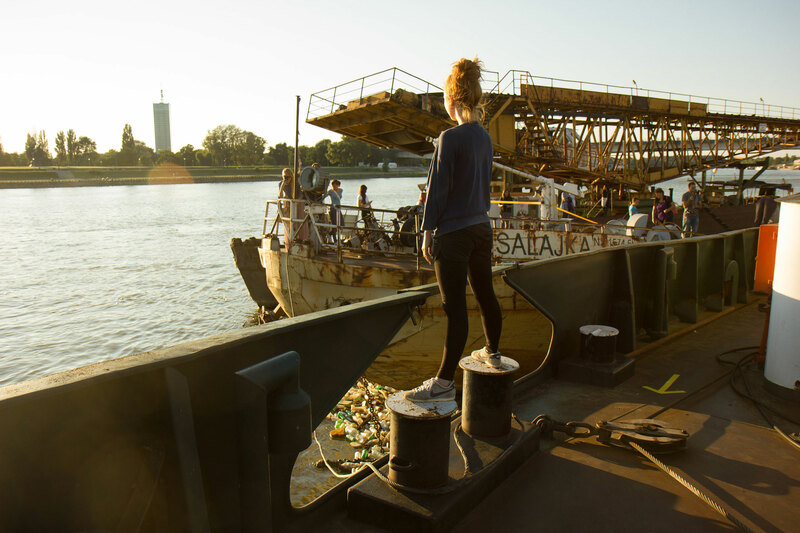 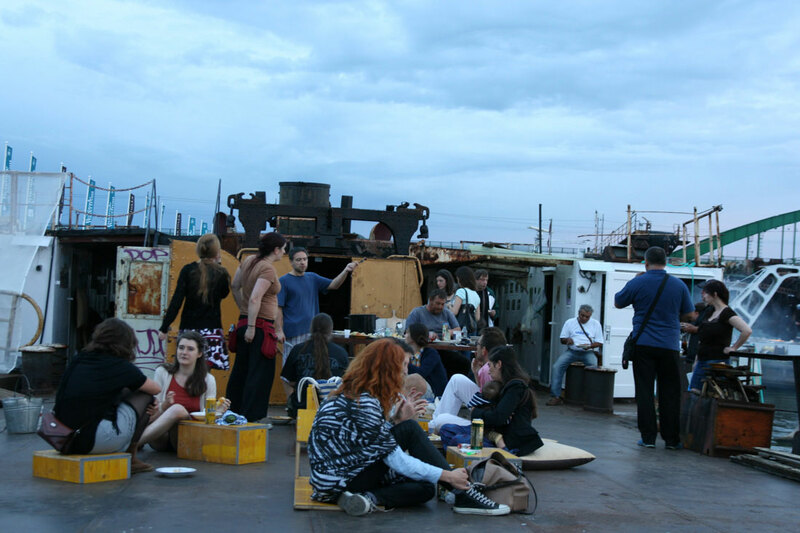 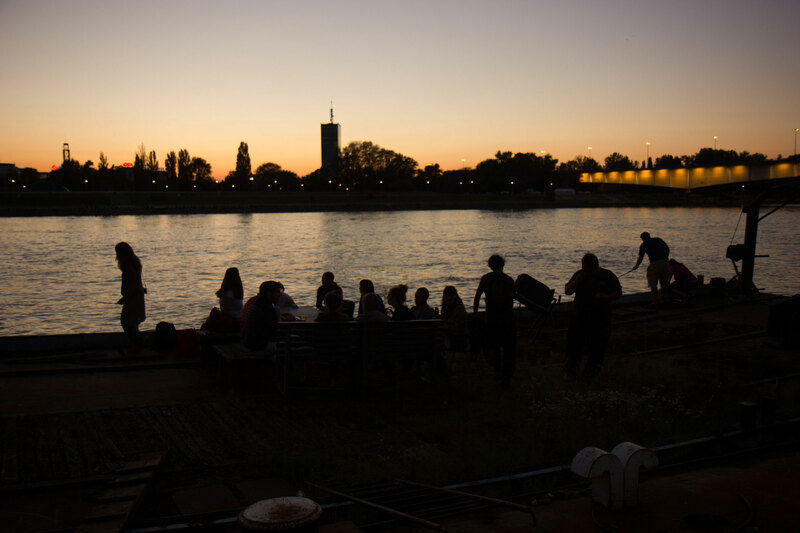 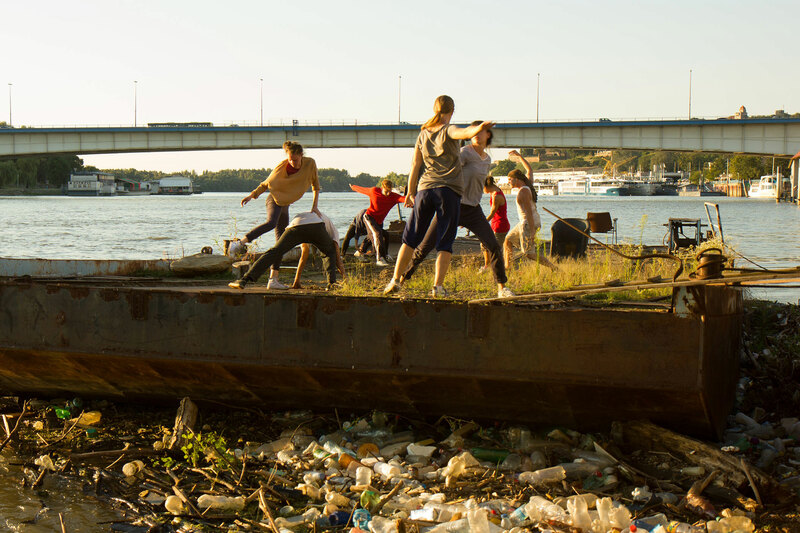 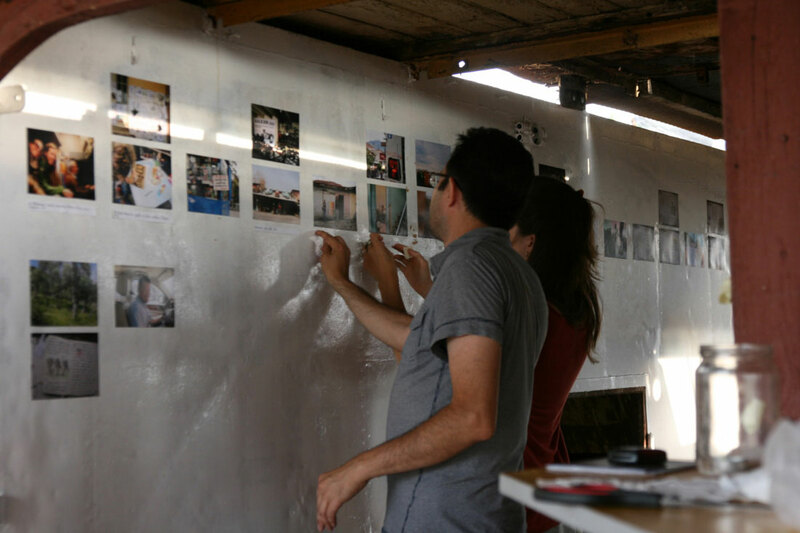 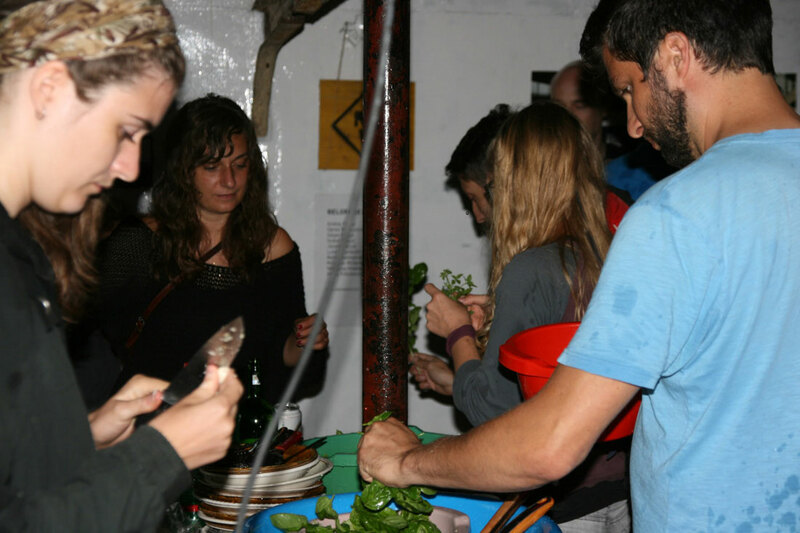 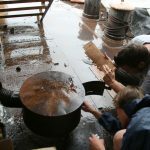 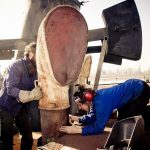 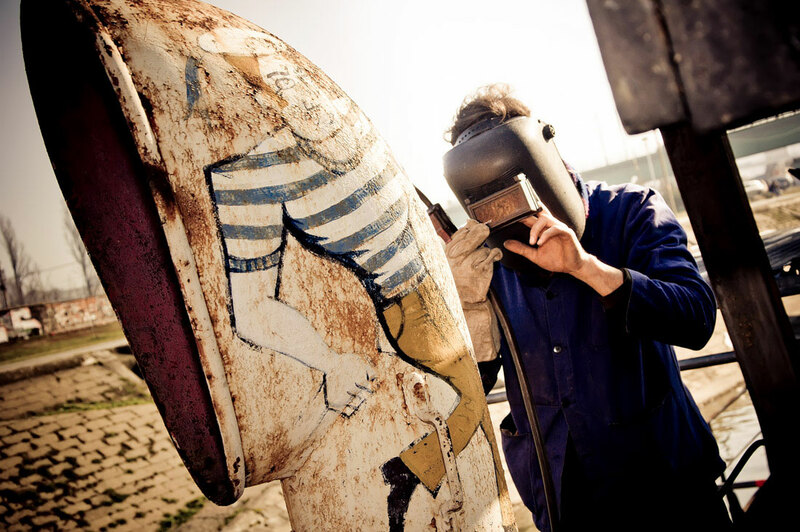 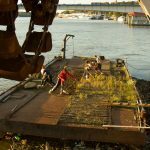 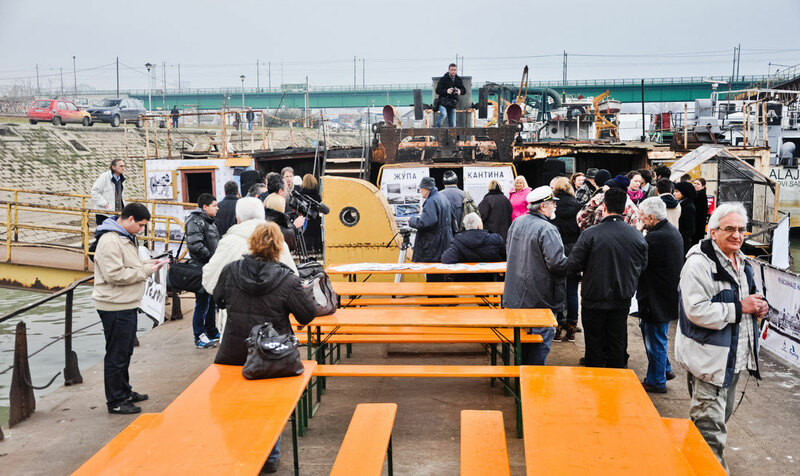 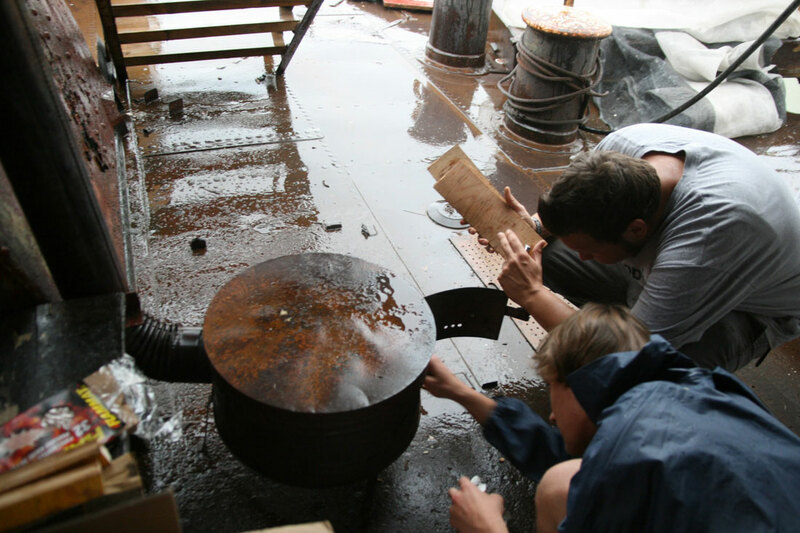 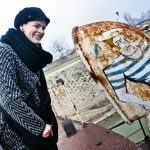 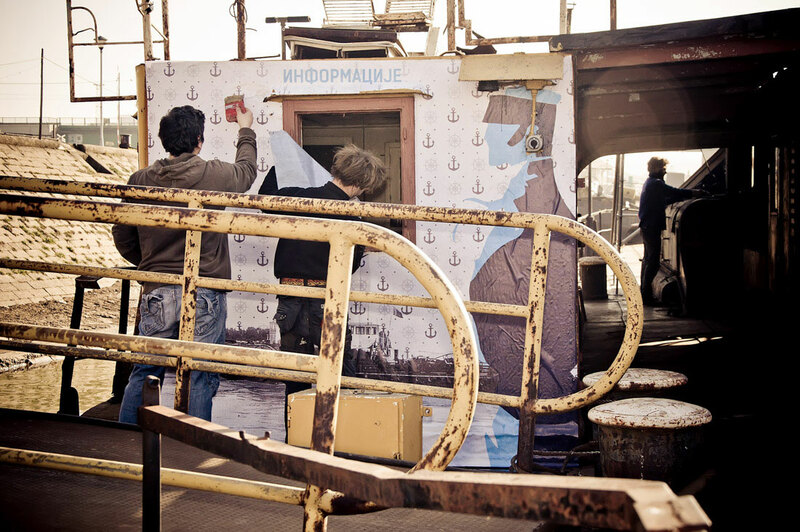 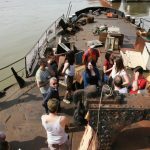 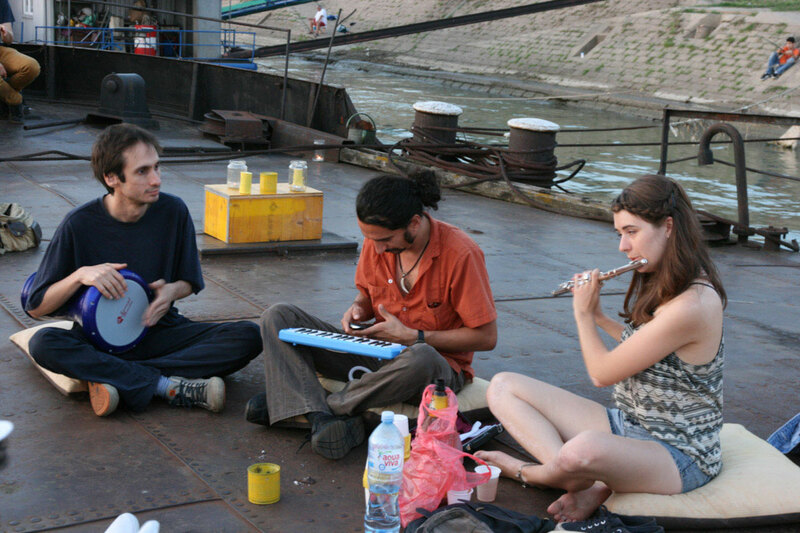 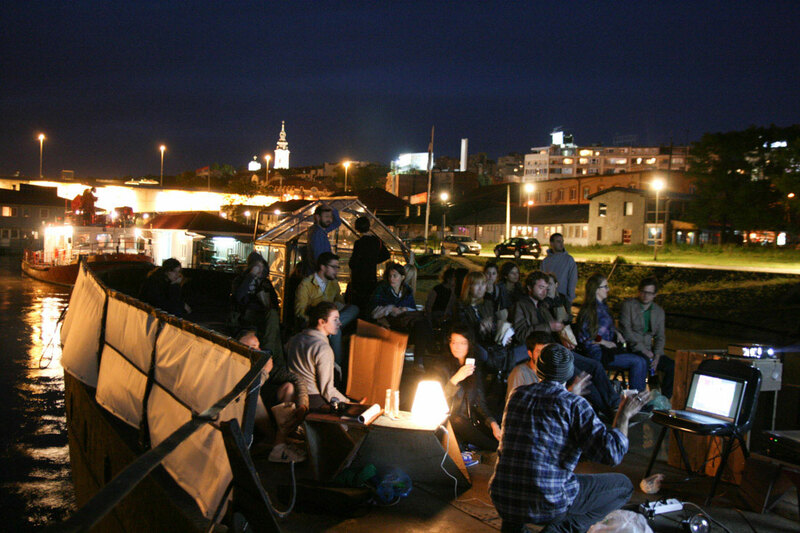 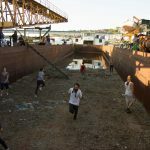 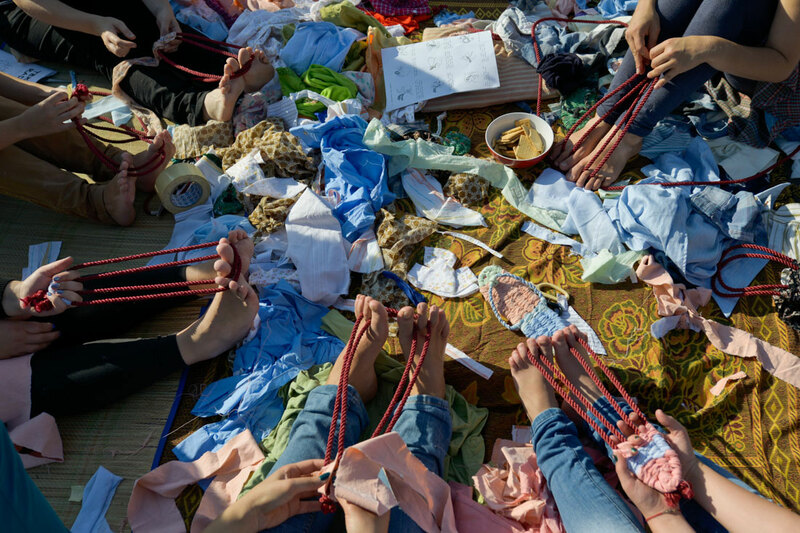 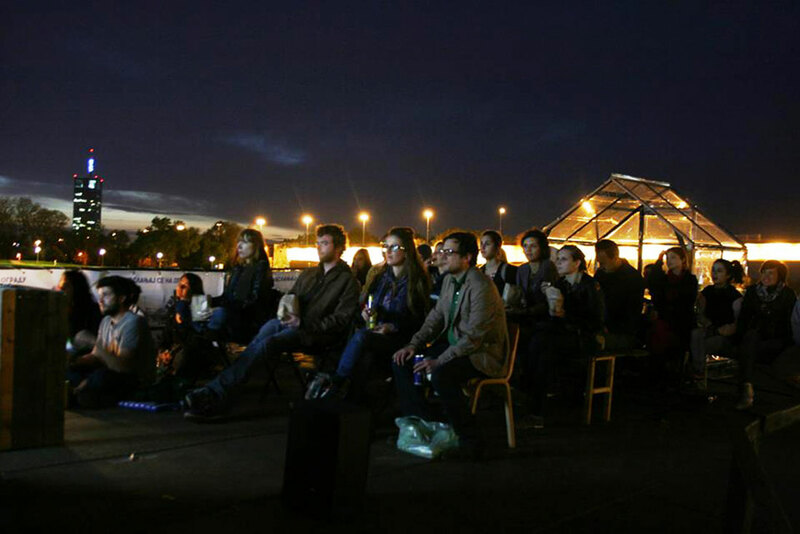 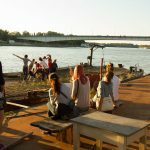 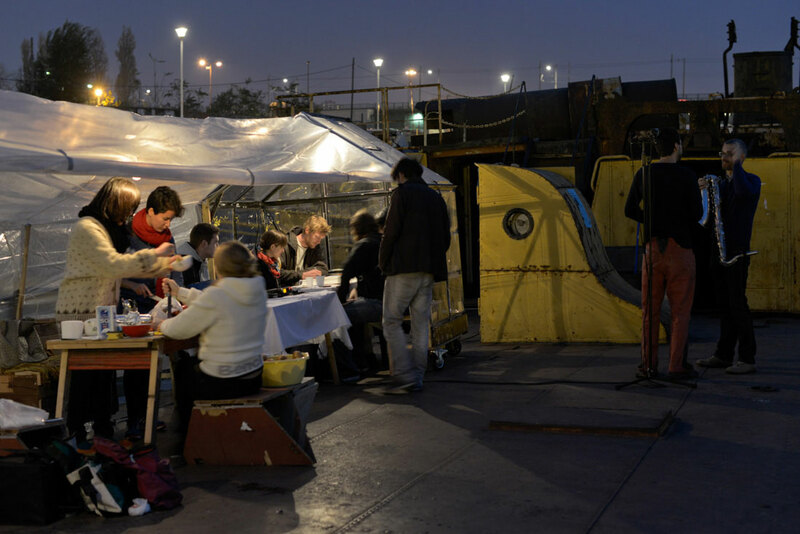 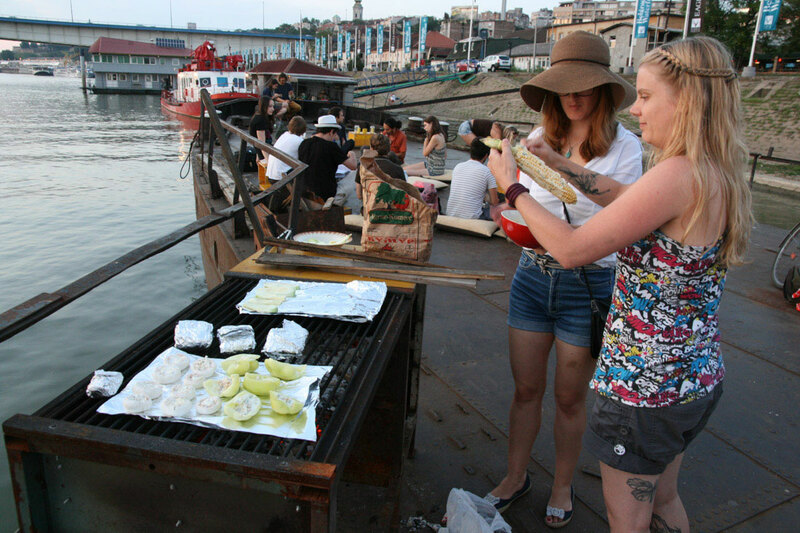 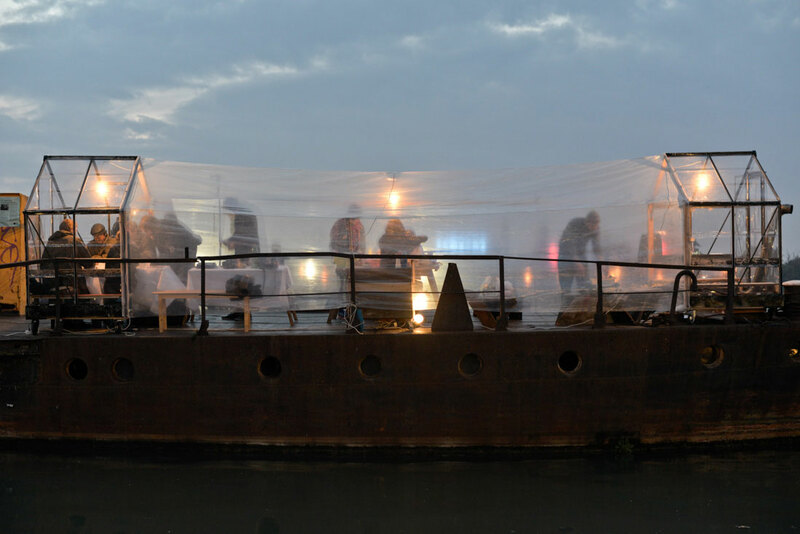 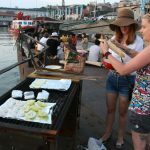 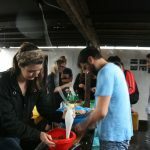 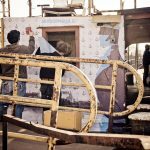 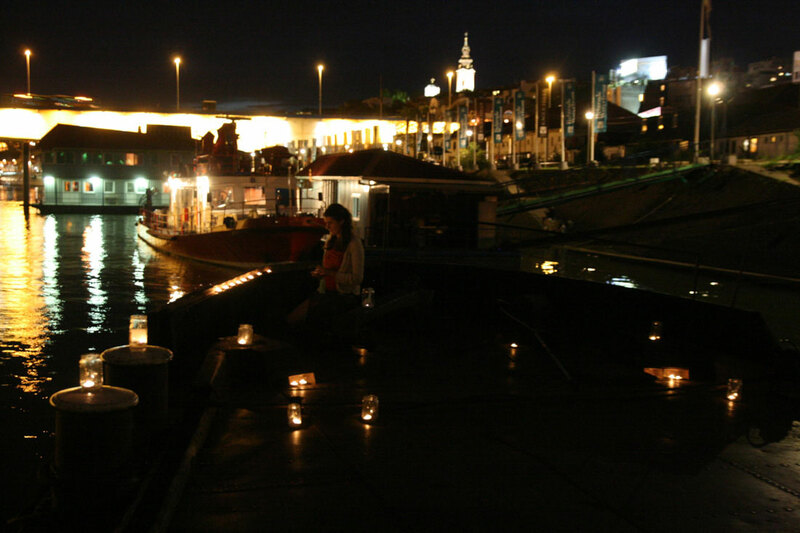 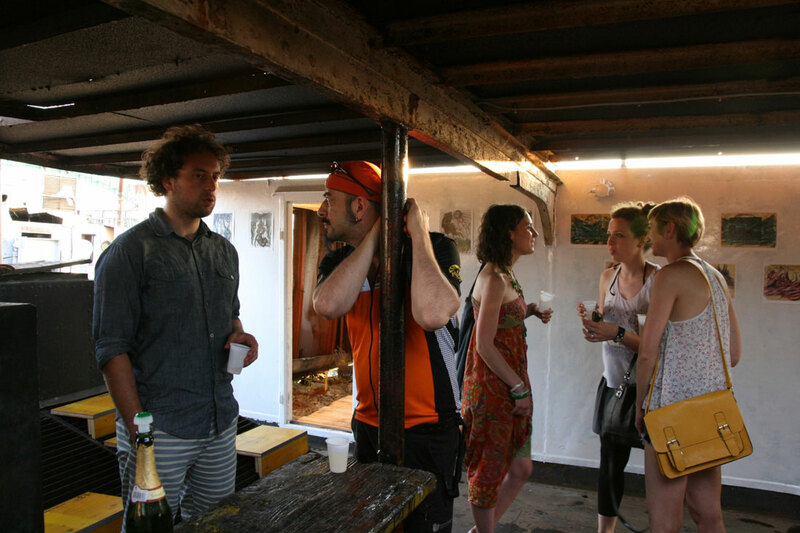 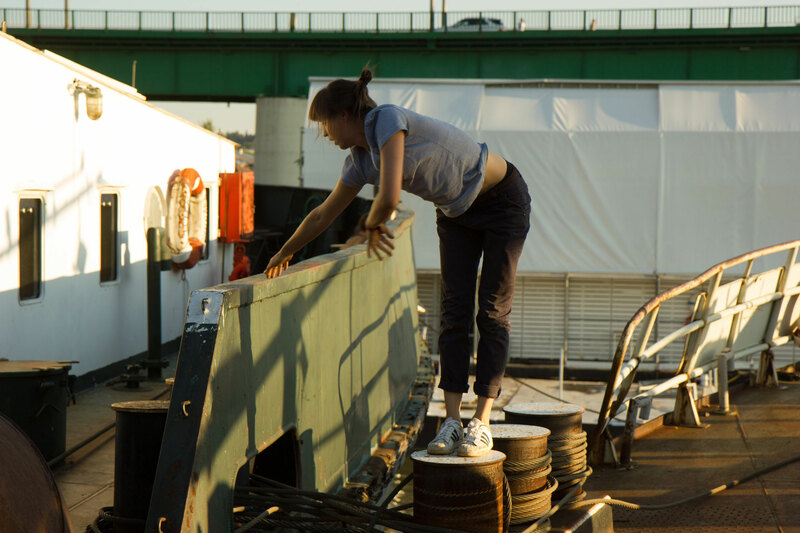 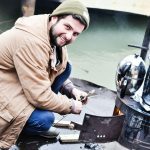 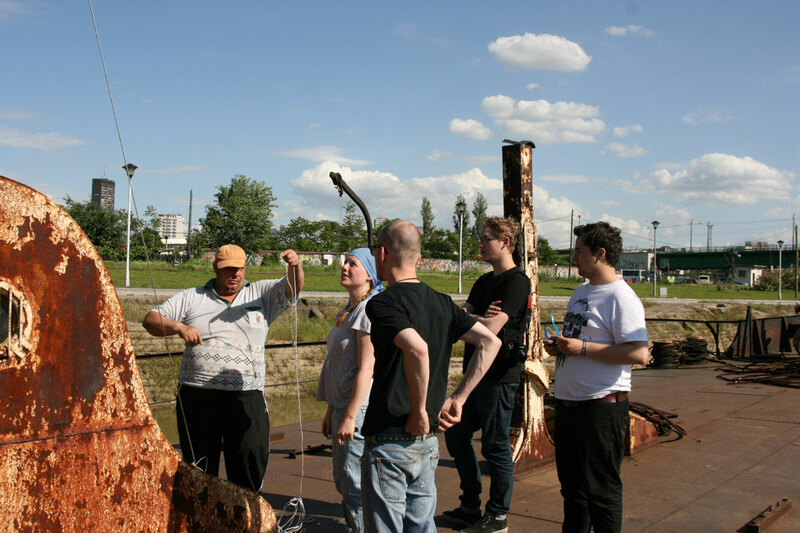 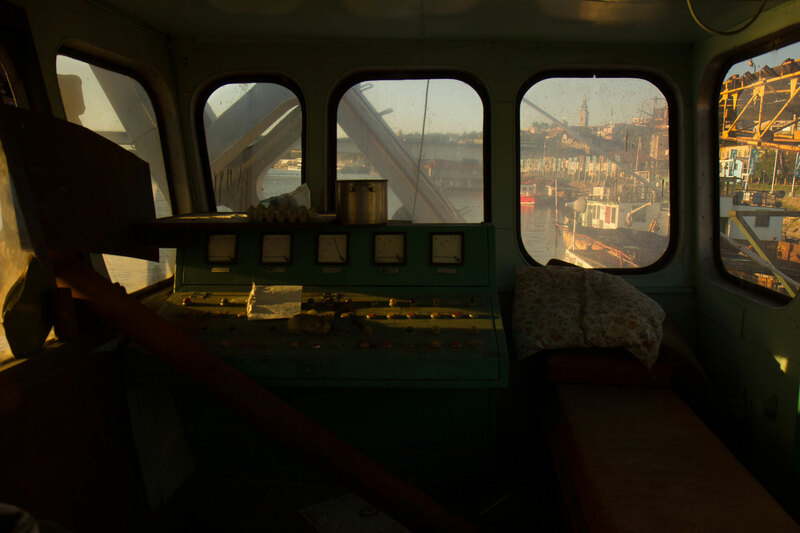 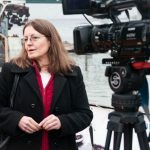 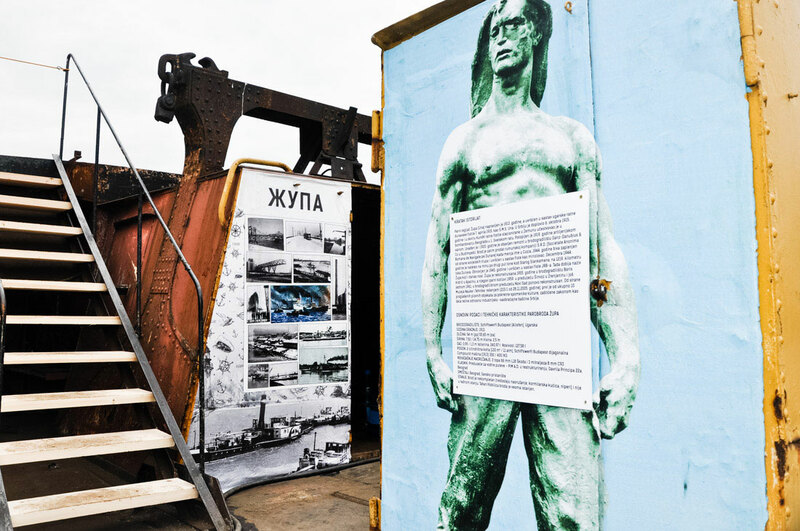 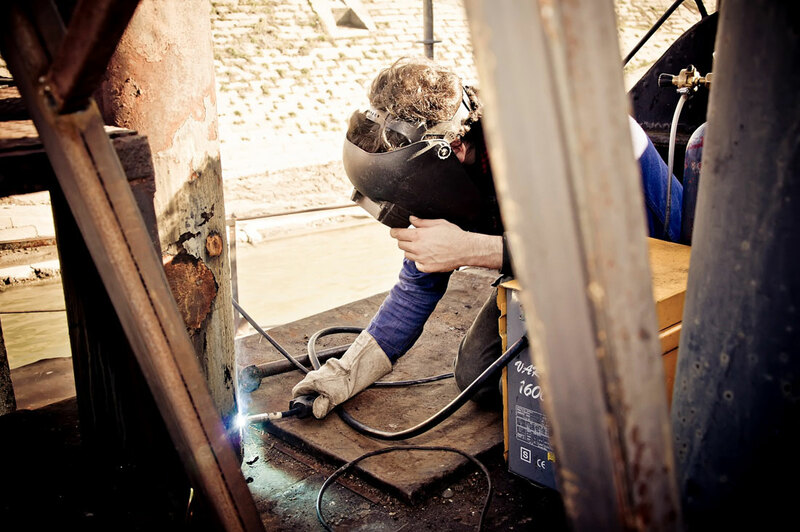 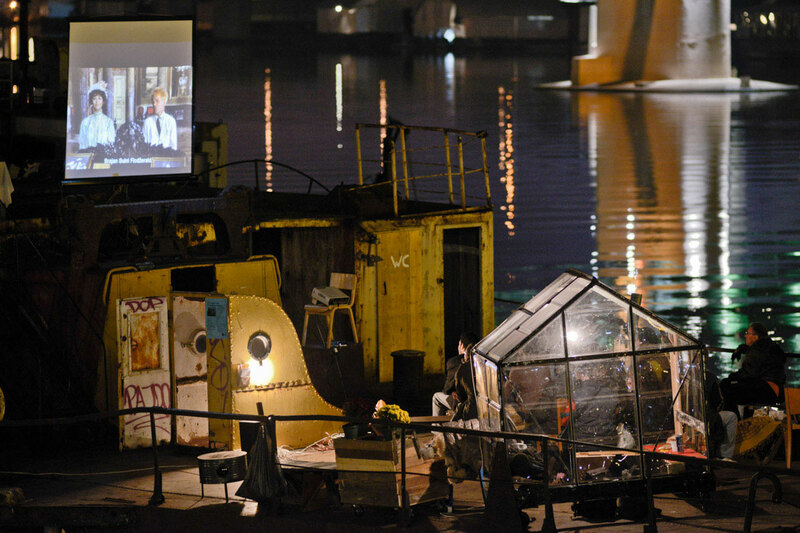 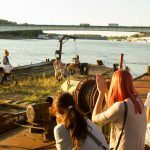 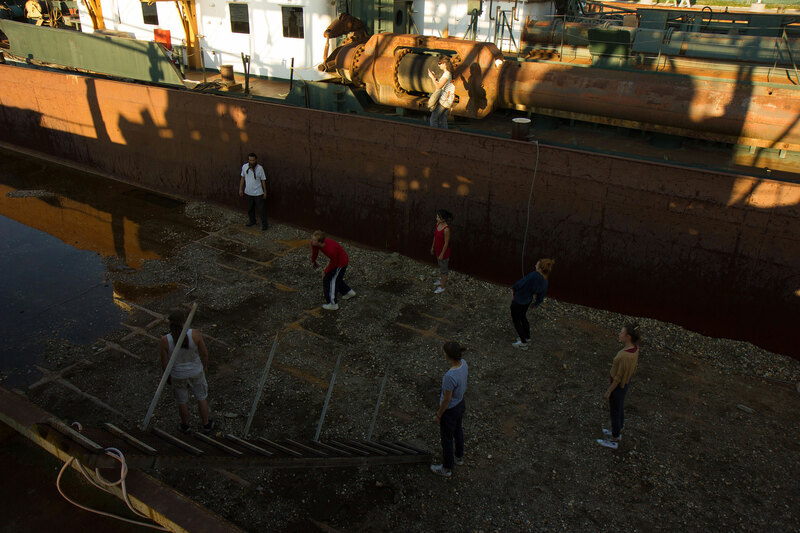 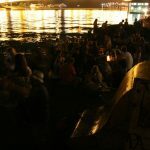 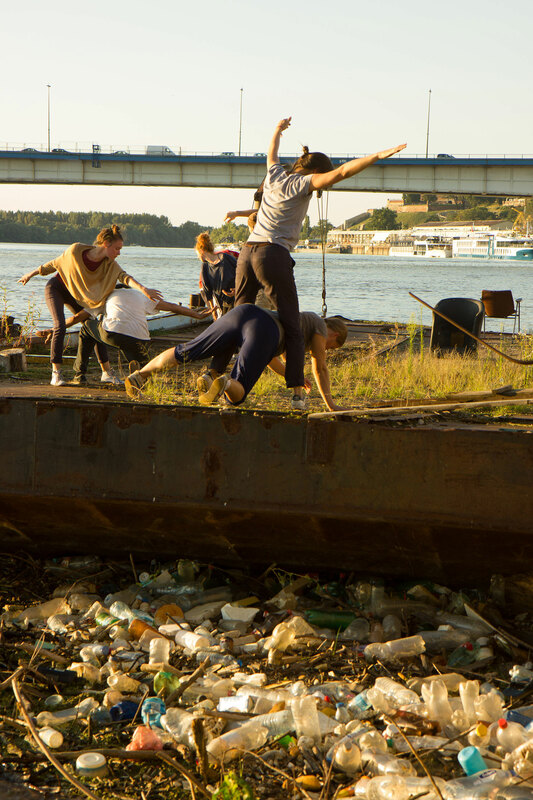 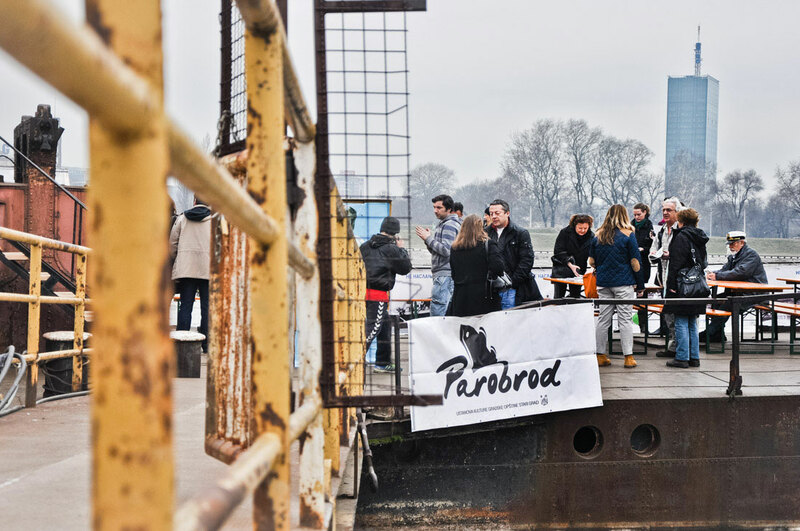 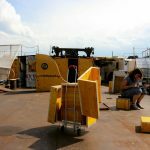 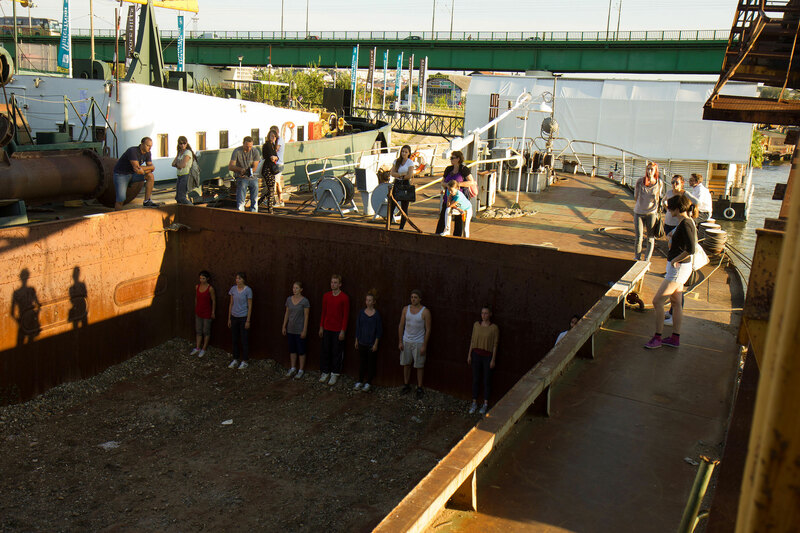 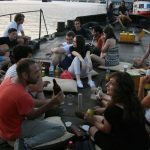 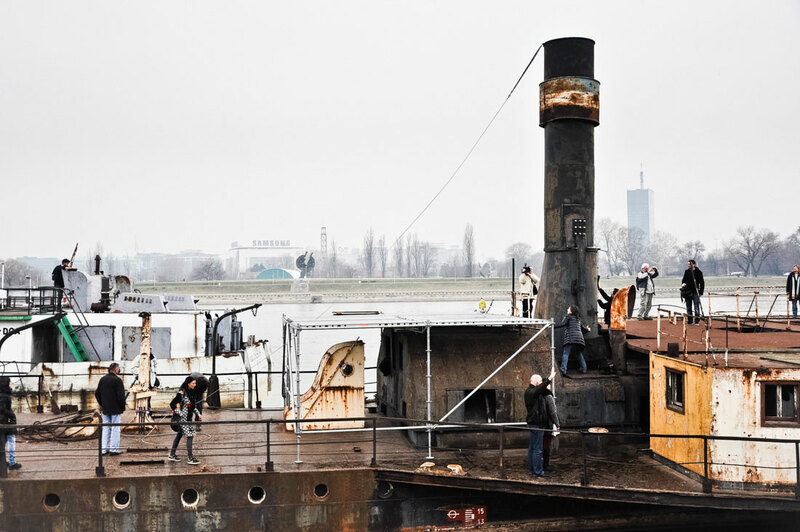 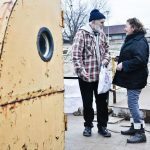 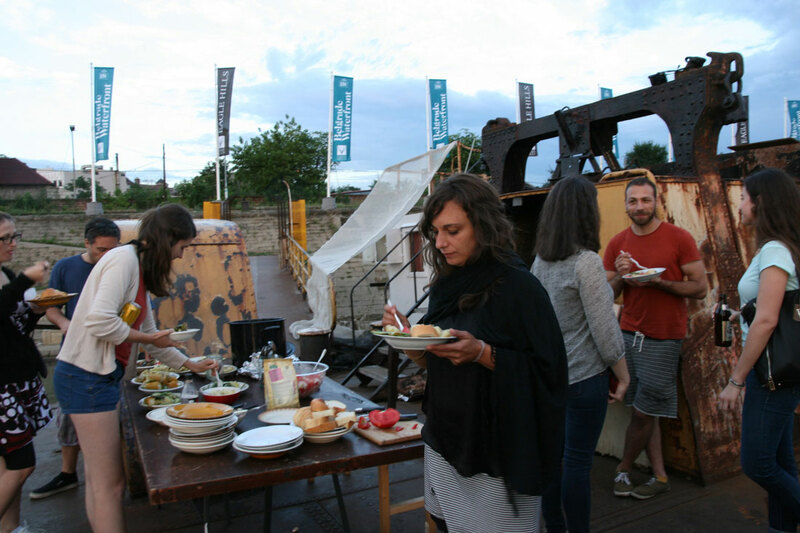 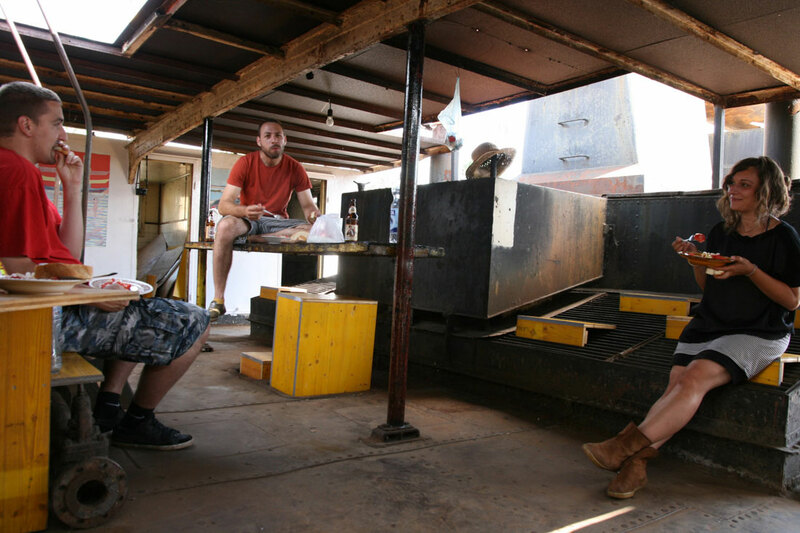 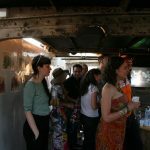 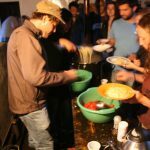 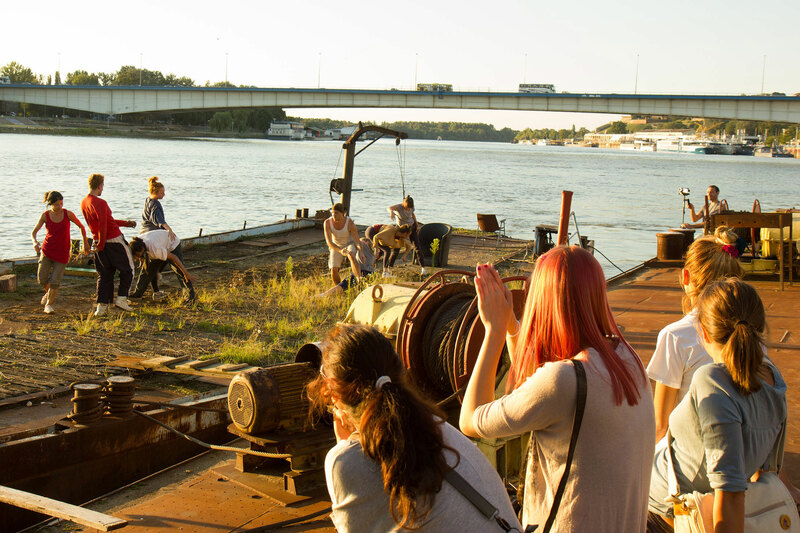 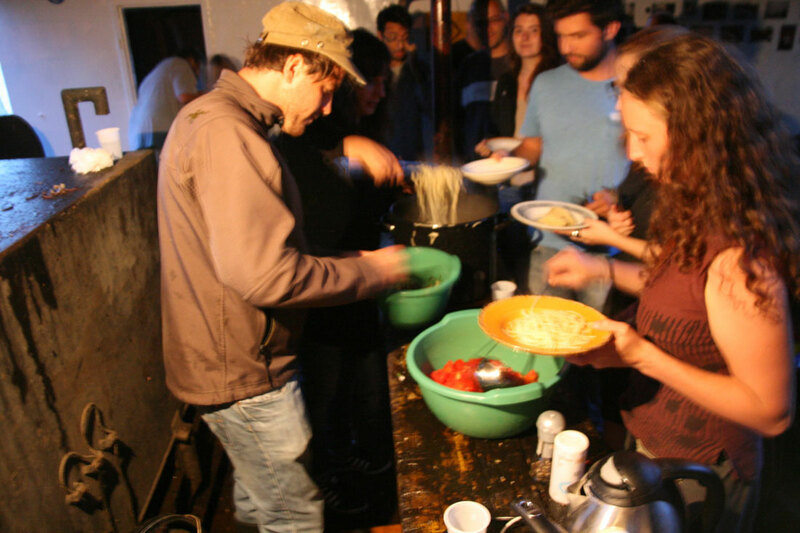 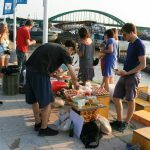 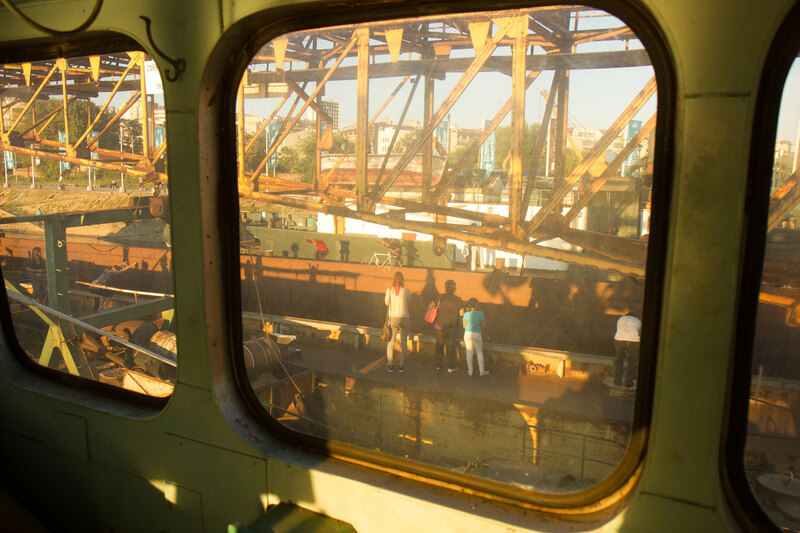 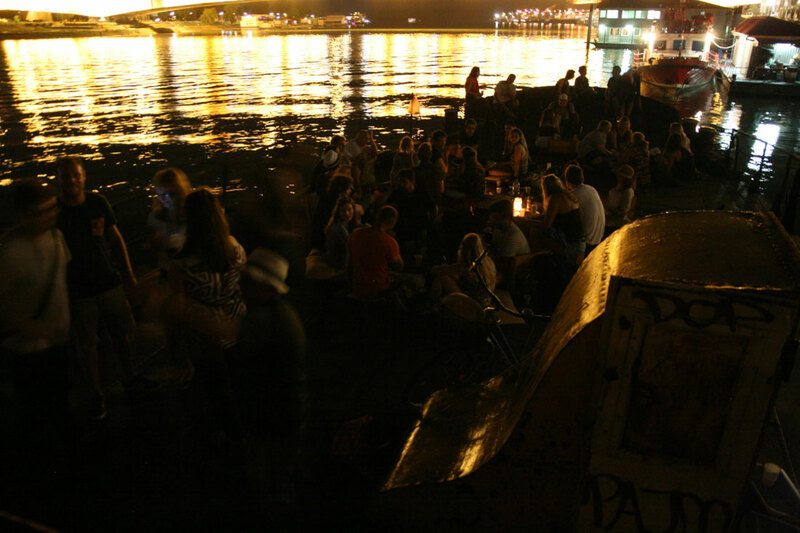 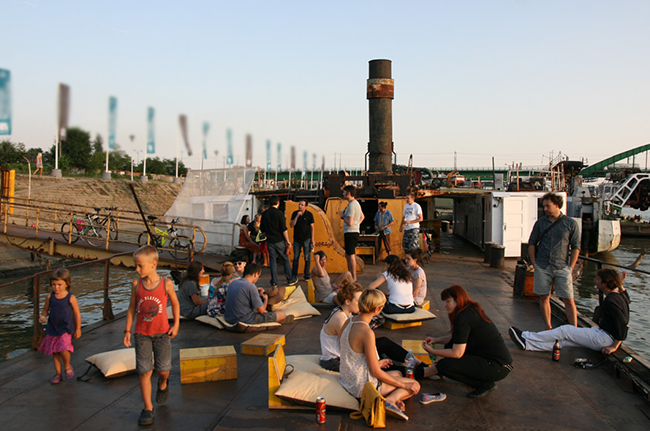 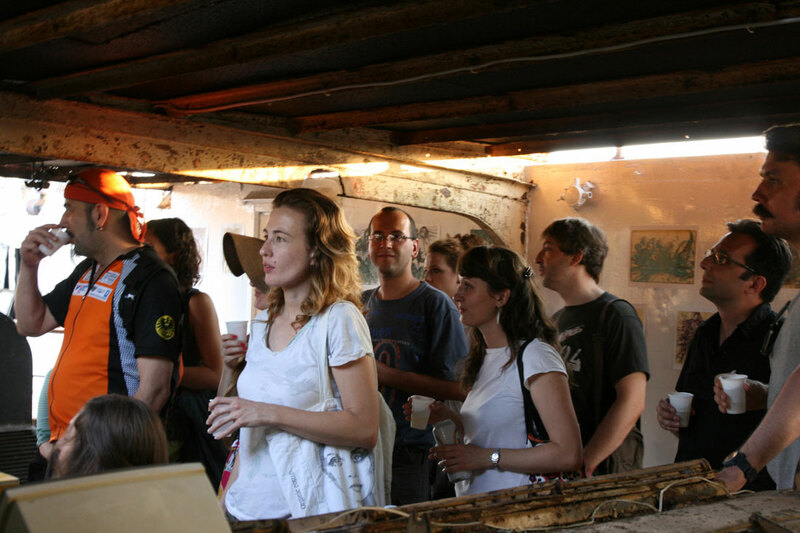 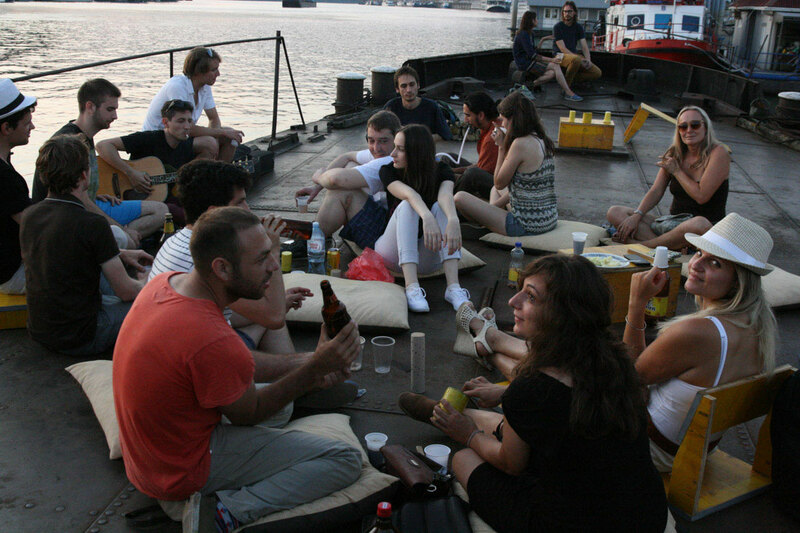 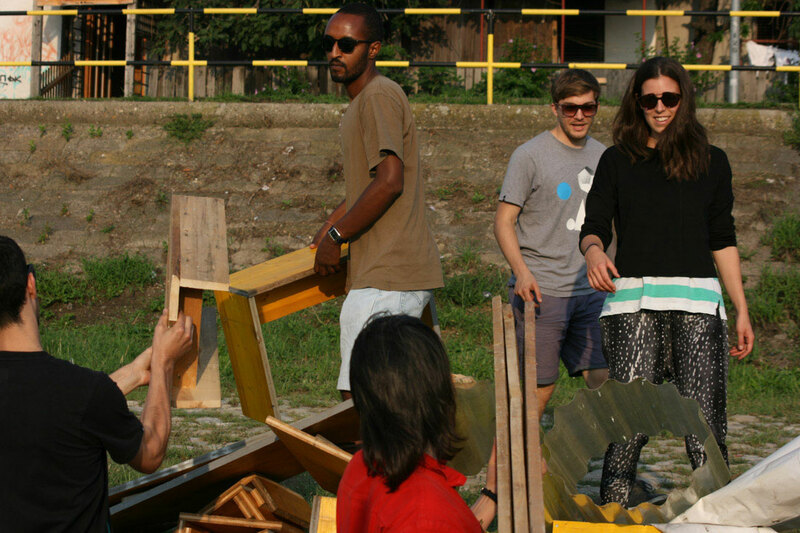 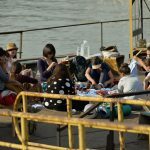 Initiated by the Urban Incubator in 2013 and organized by activists and students from the University of Hamburg (class of Marjetica Potrč), series of cultural events took place on the boat and involved local communities, artists, and other cultural initiatives keen to preserve the boat. 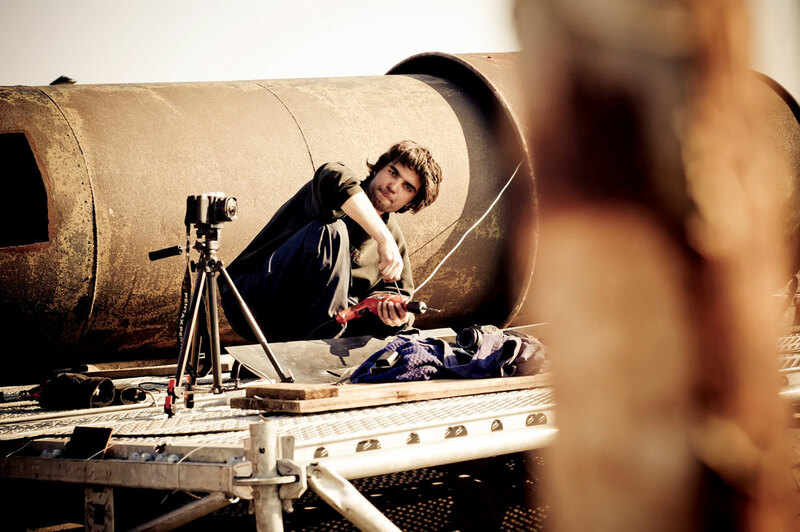 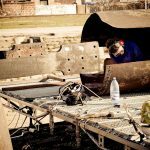 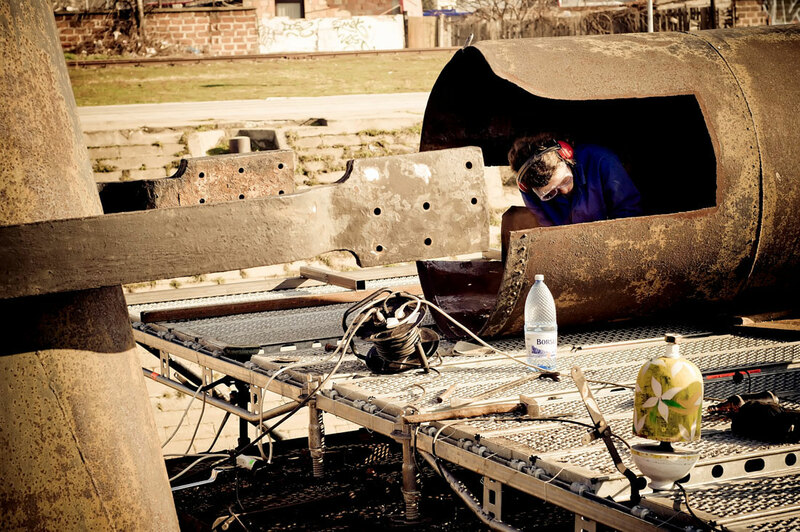 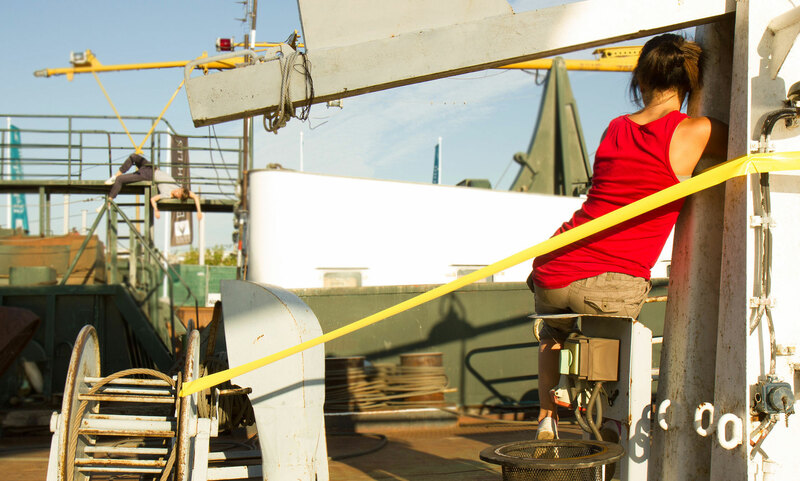 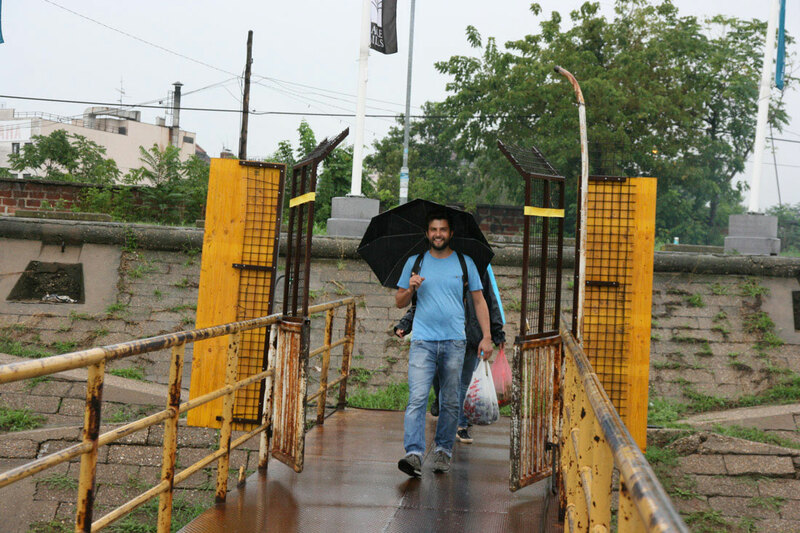 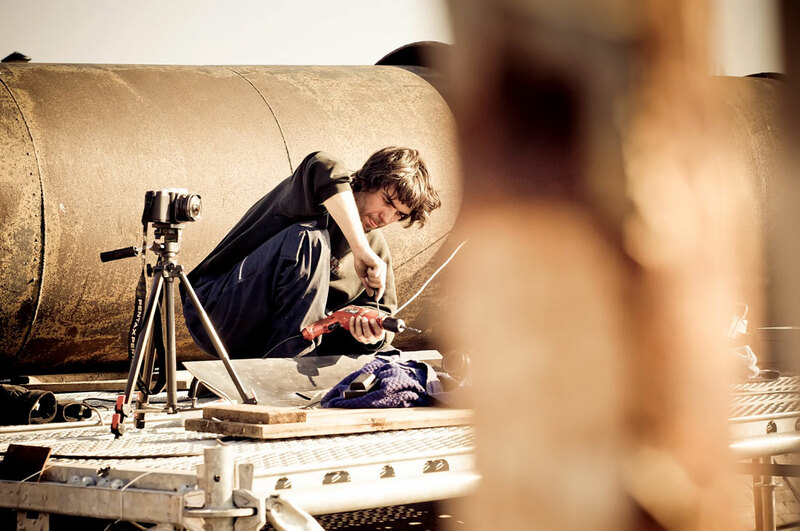 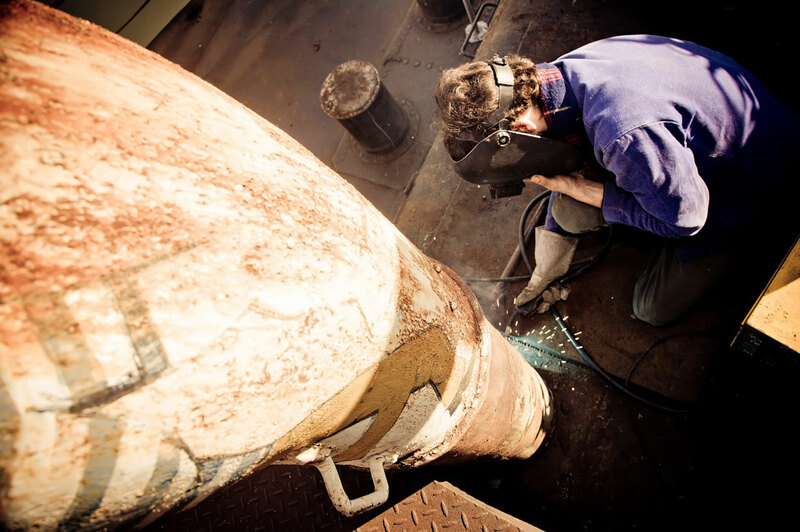 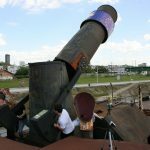 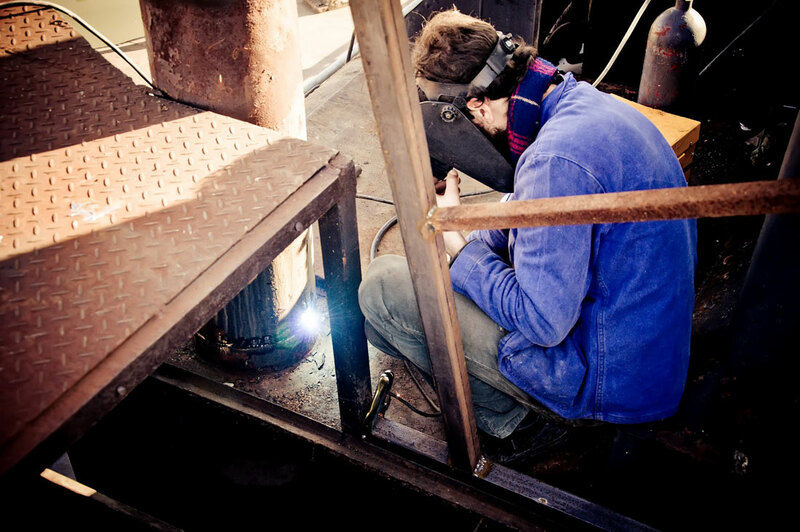 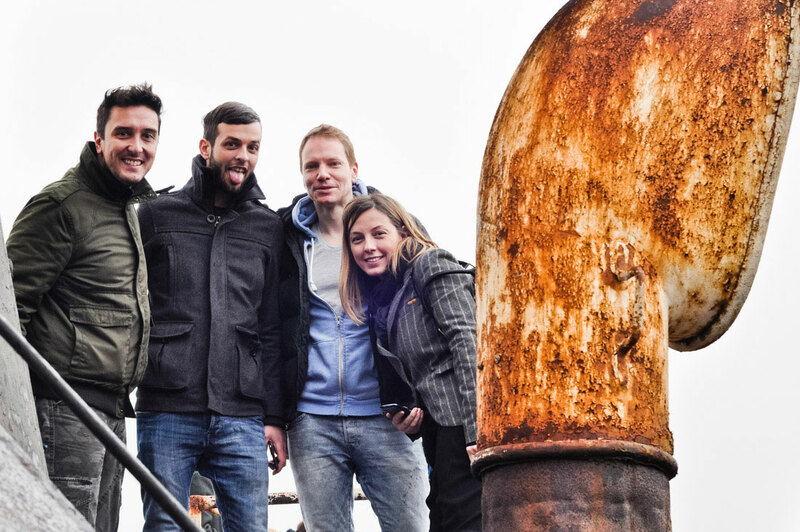 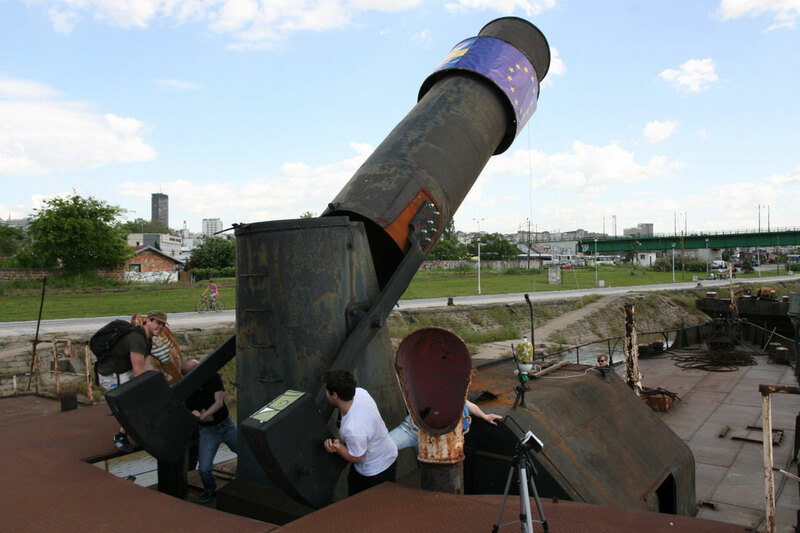 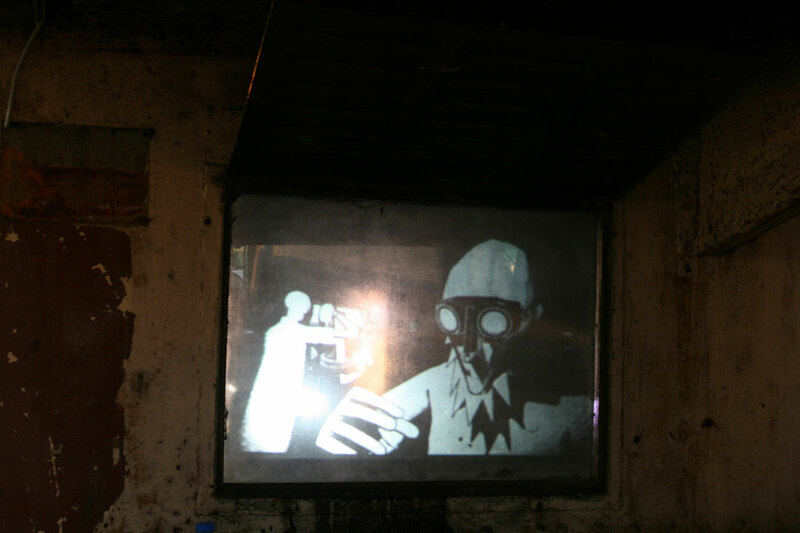 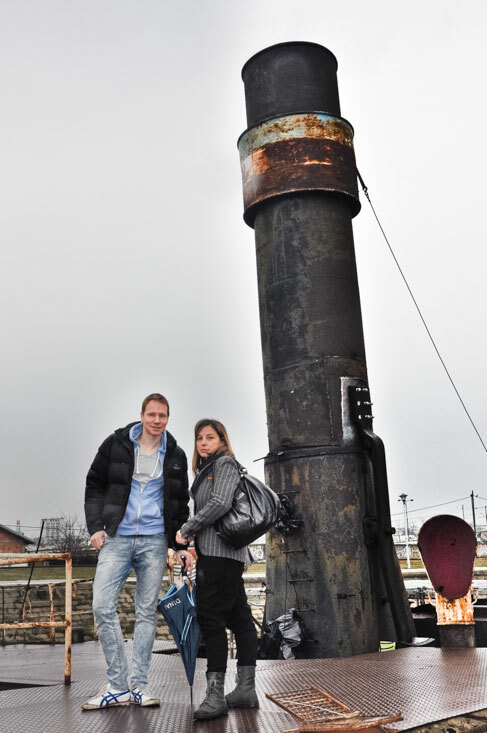 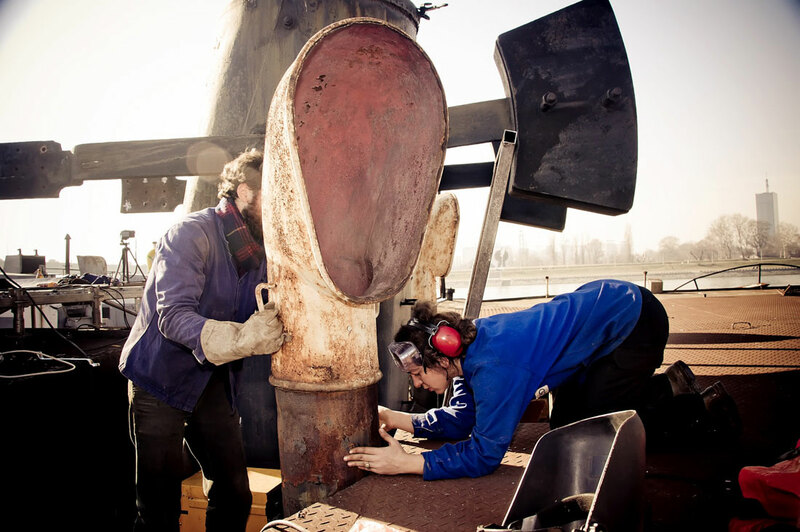 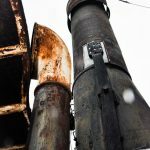 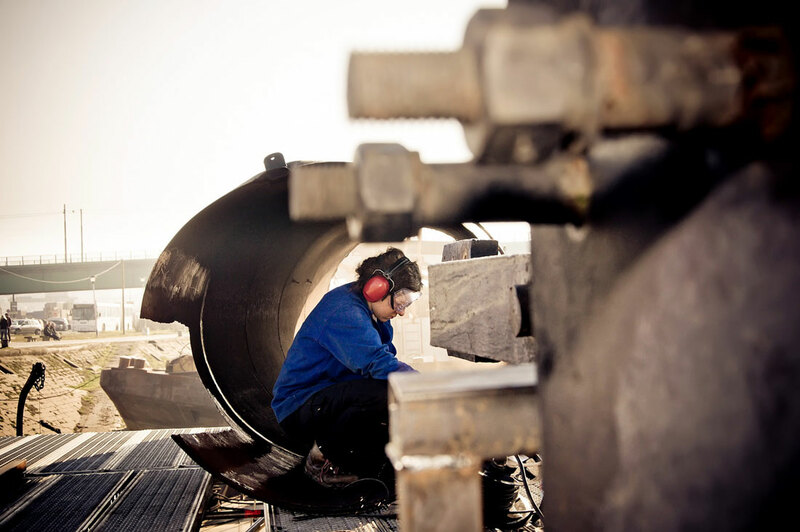 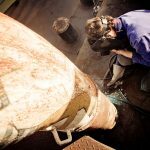 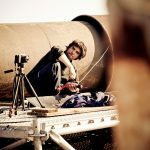 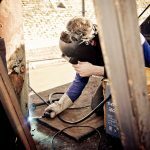 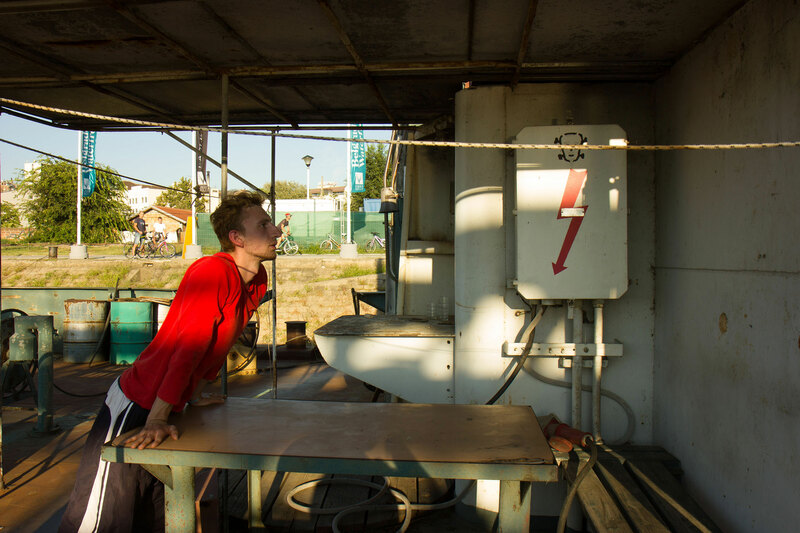 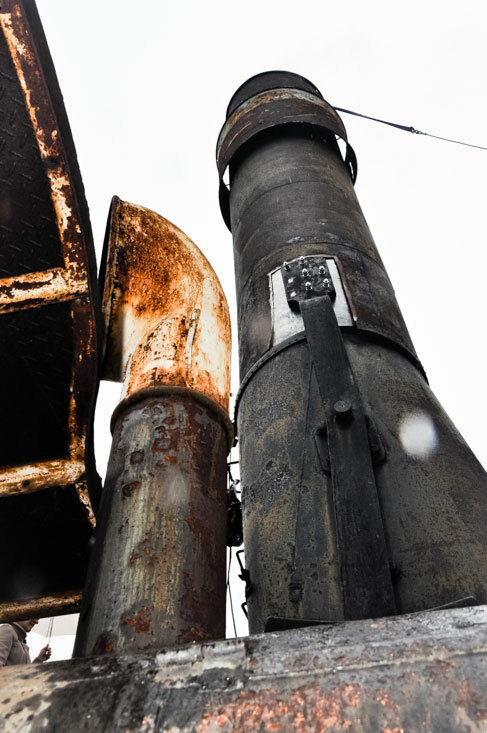 These activities continued in 2014, in which local artist collective Karkatag re-installed the chimney and made lifting system functional again. 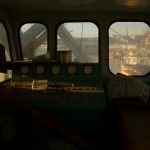 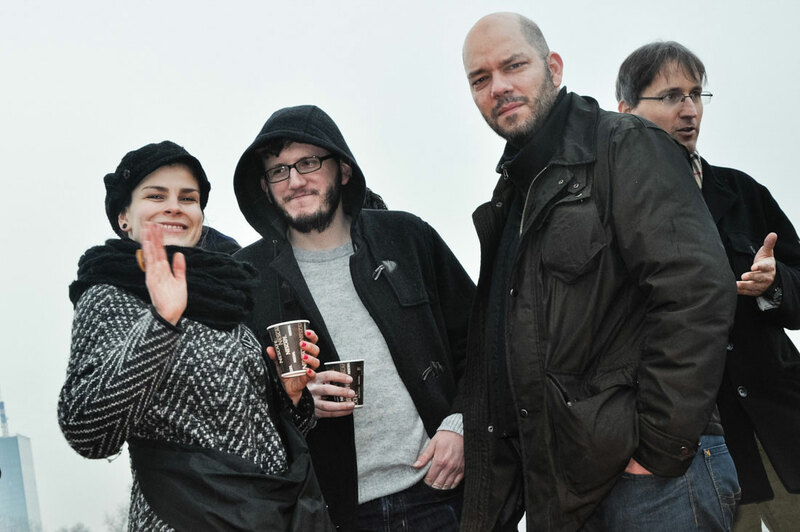 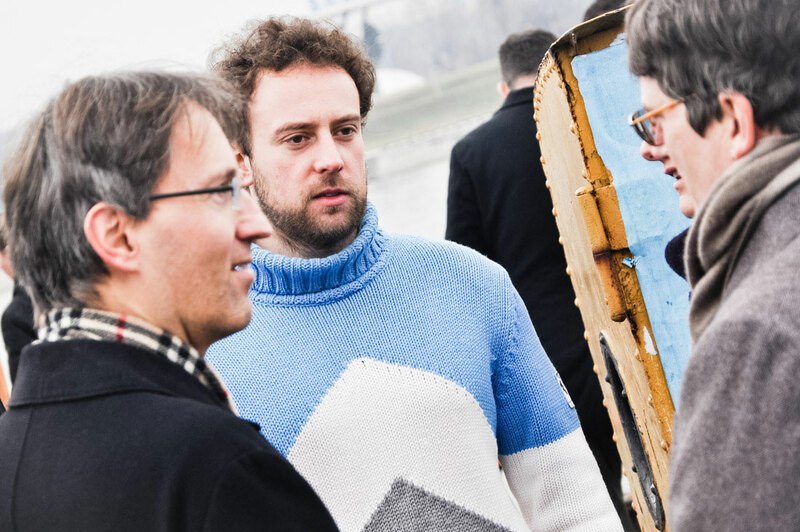 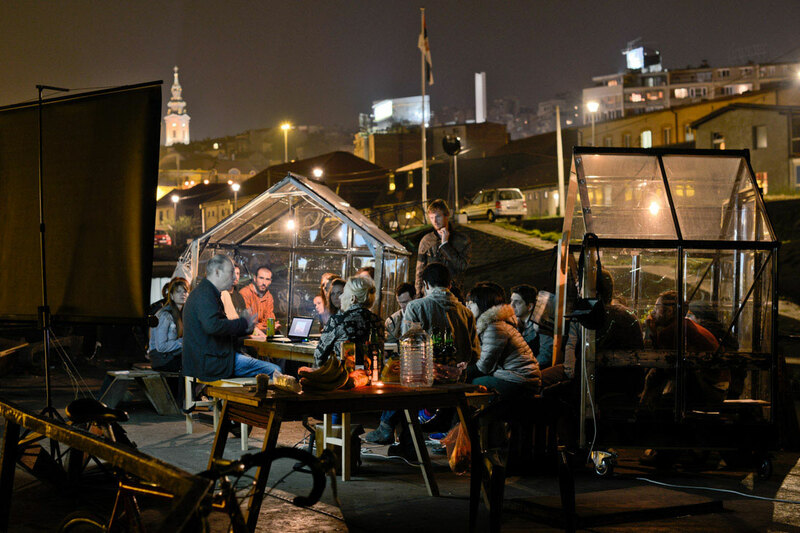 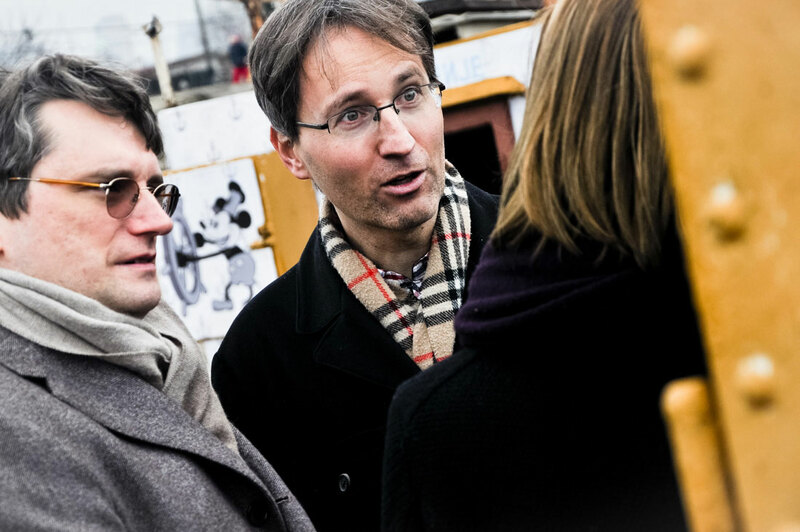 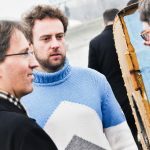 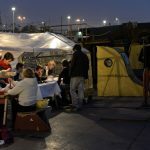 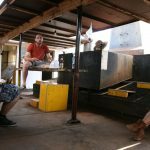 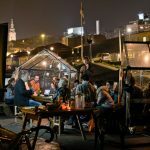 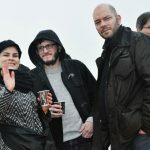 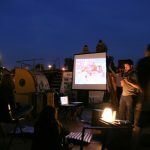 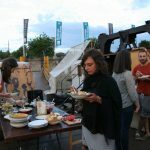 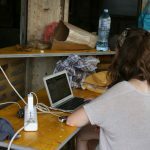 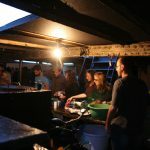 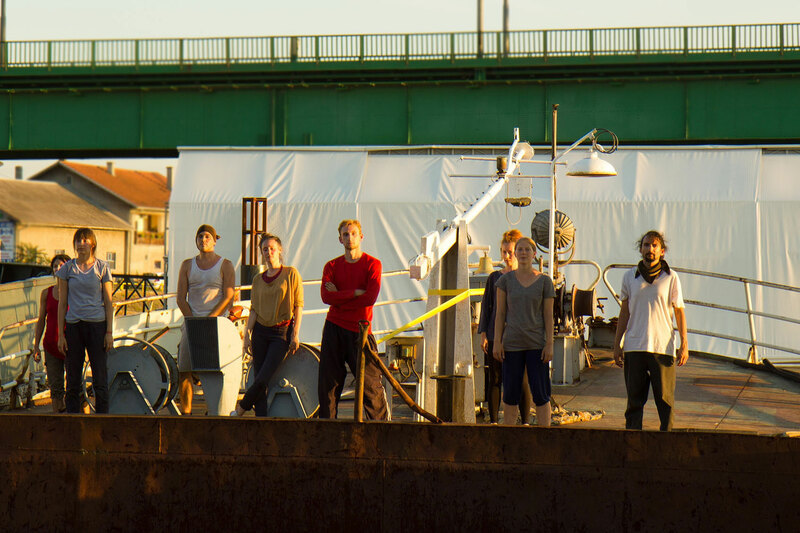 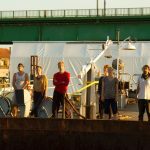 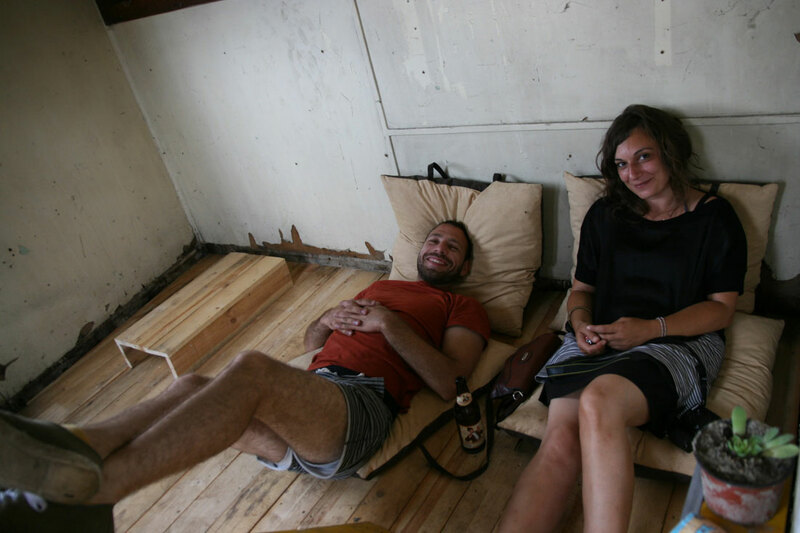 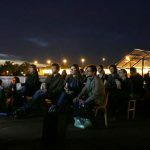 With everyday presence on the boat the team from the Urbane Experimente (Kassel) made the ship publicly accessible and started an open platform for participation in the process of creating a local community and social hub. 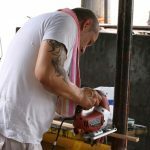 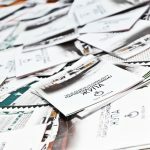 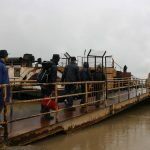 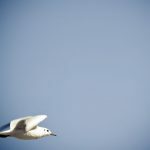 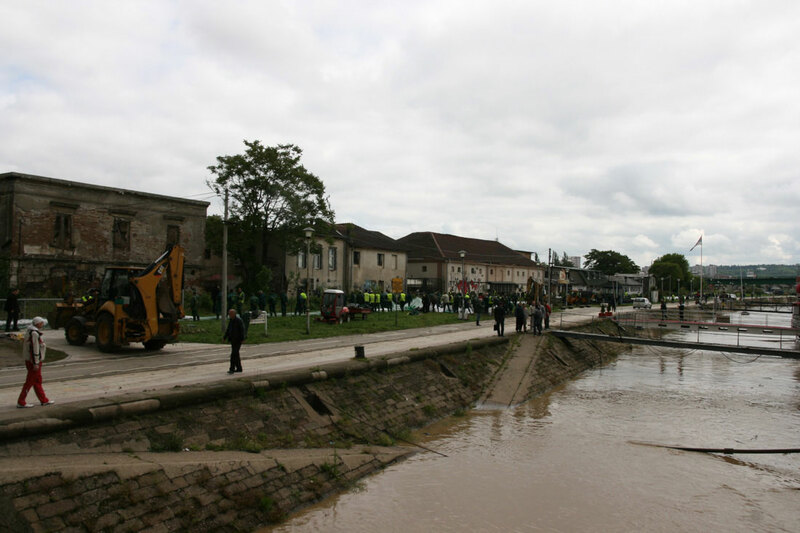 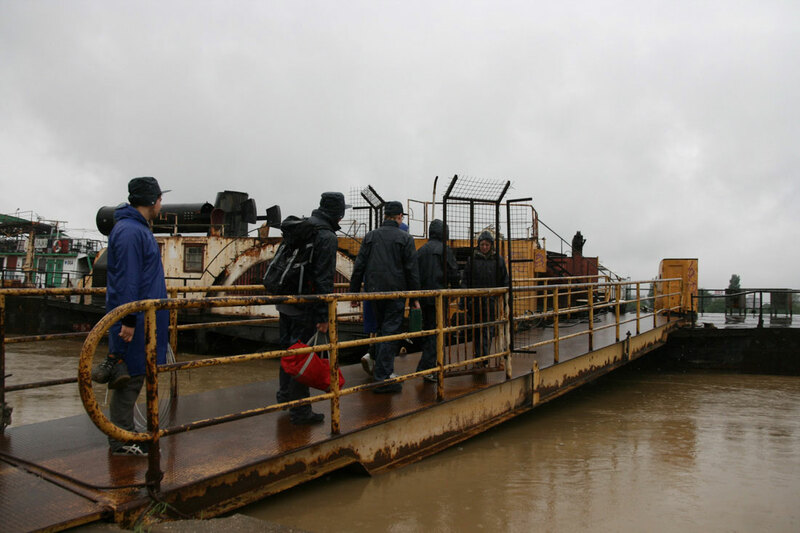 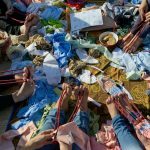 These activities, first interrupted by massive floods that have hit Serbia, continued over almost four consecutive months. 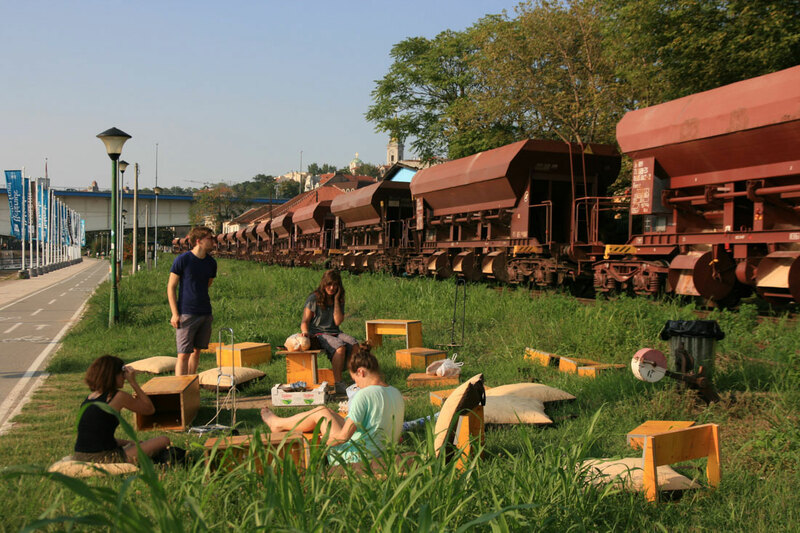 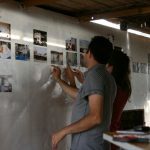 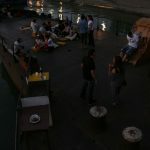 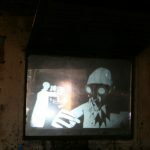 They have resulted in workshops that contributed to more space functionality and furniture production, series of social gatherings, film screenings and other events such as food cooking with locals, music jam session and photo exhibitions with various artists. 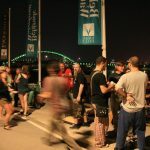 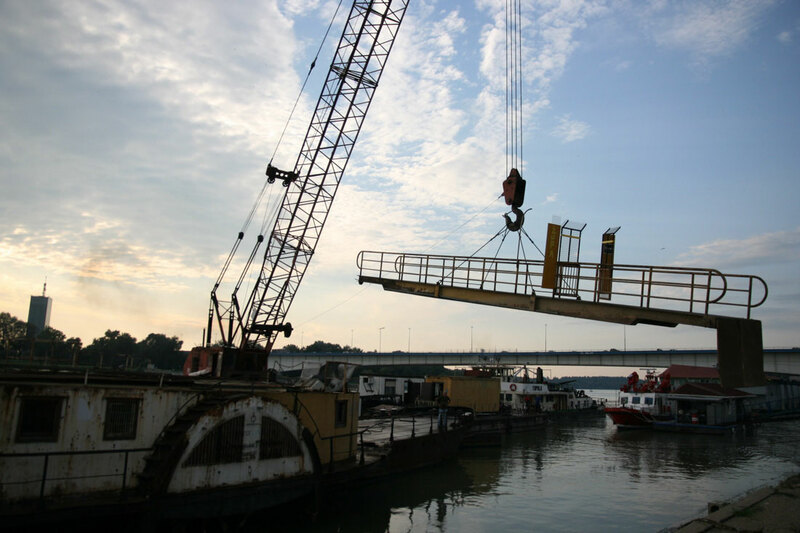 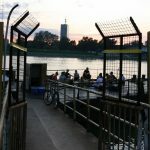 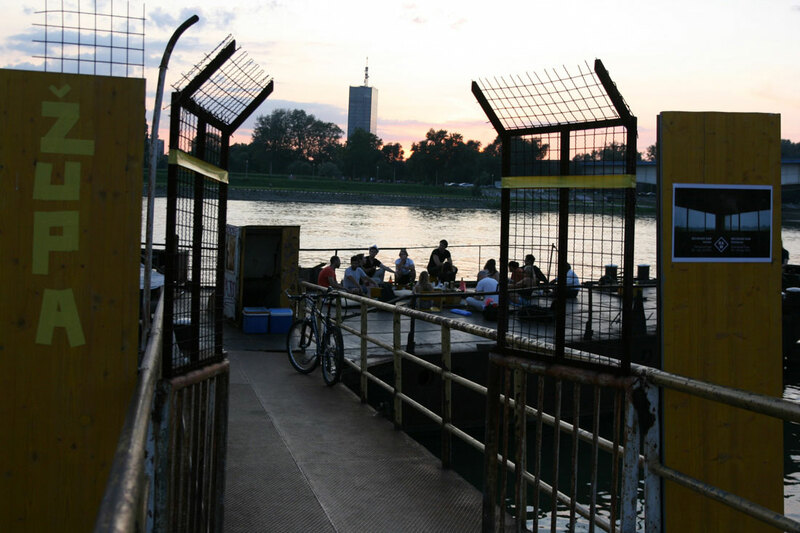 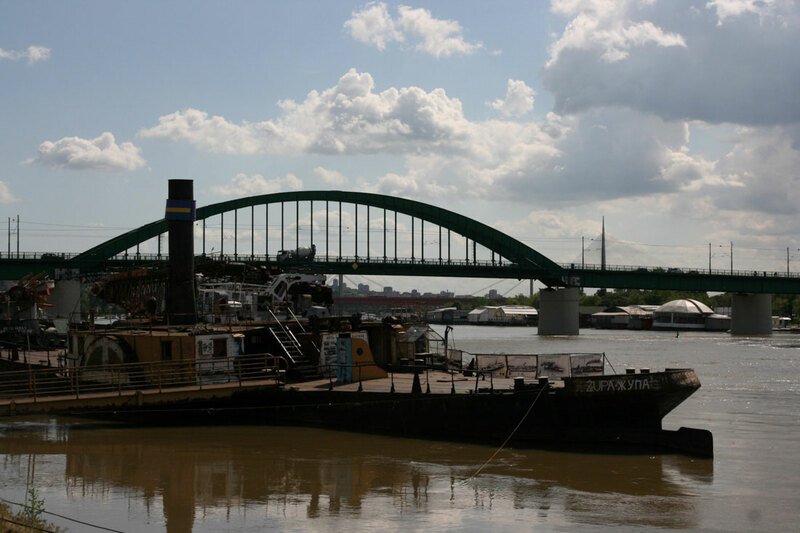 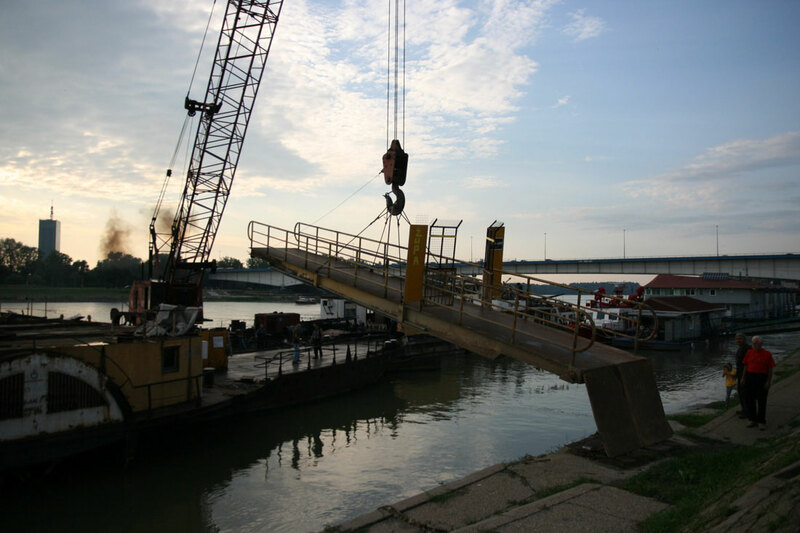 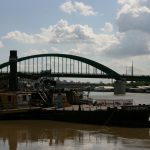 Due to the Belgrade Waterfront project, at the beginning of August 2014 under the guidance of PIM (owning company) Zupa was moved 400 meters downstream. 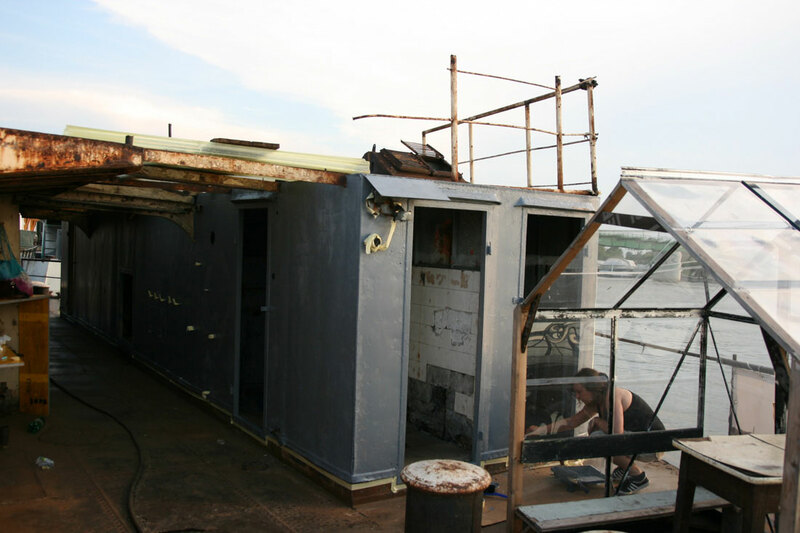 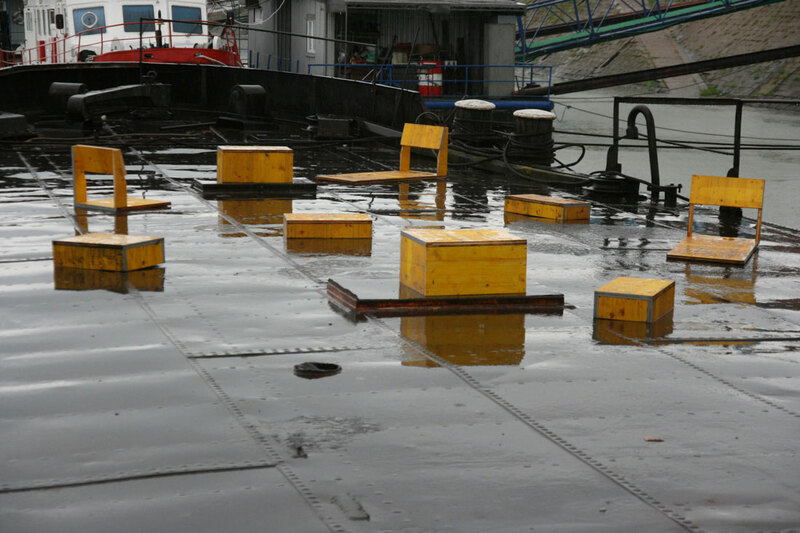 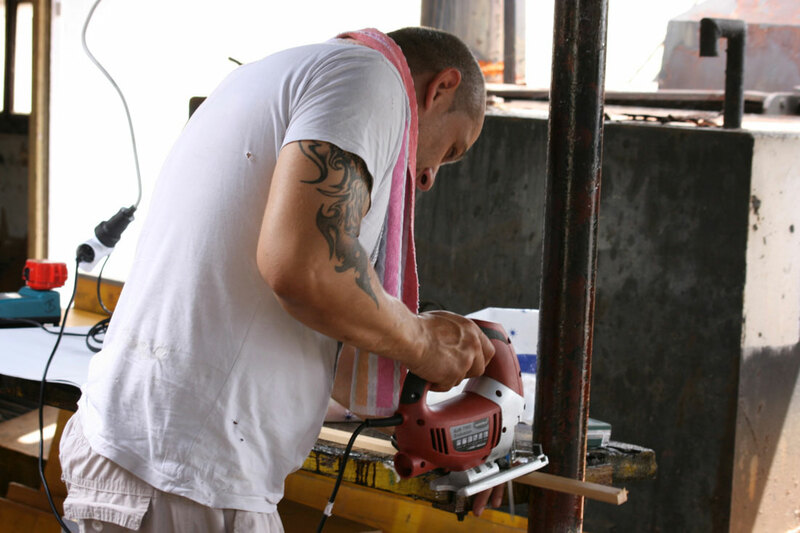 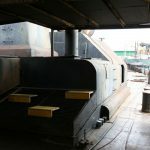 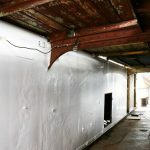 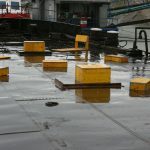 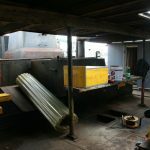 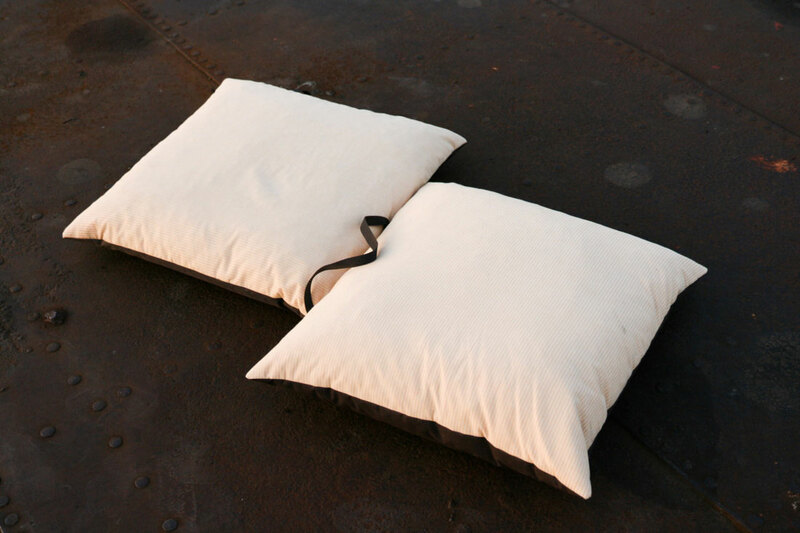 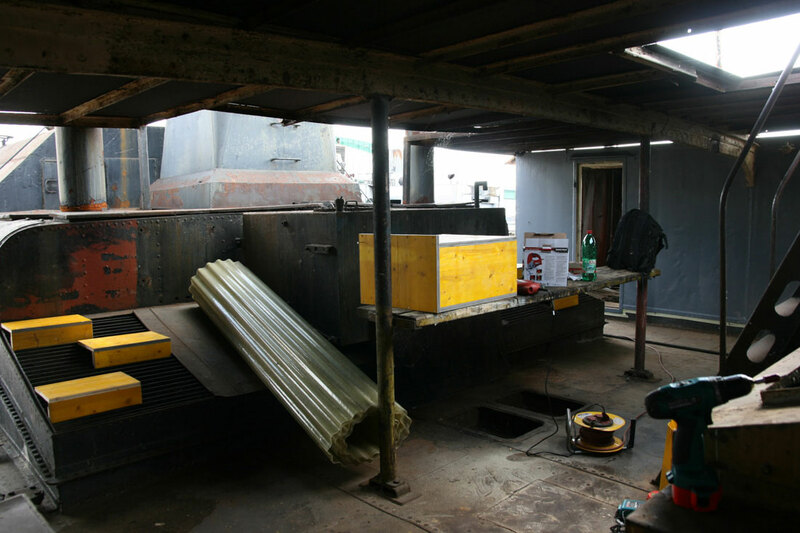 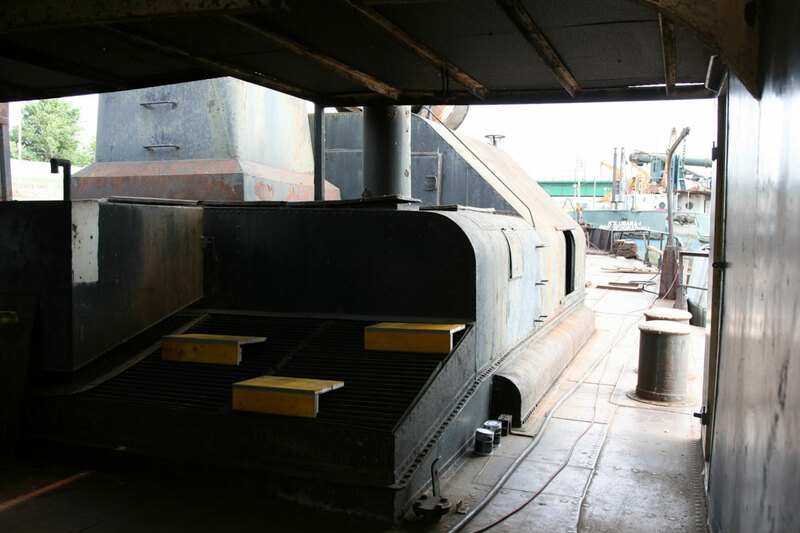 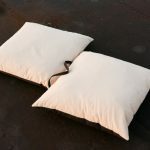 During this action, part of the ship was damaged and almost all of the installations, furniture, tools, installed in previous months were stolen. 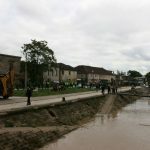 This action destroyed a several months of work and efforts putted into making a Zupa cultural hub. 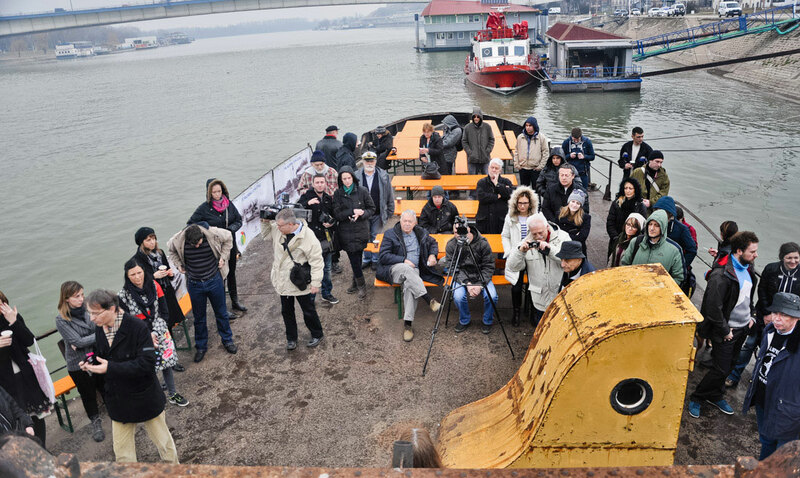 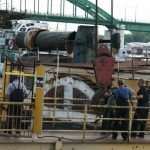 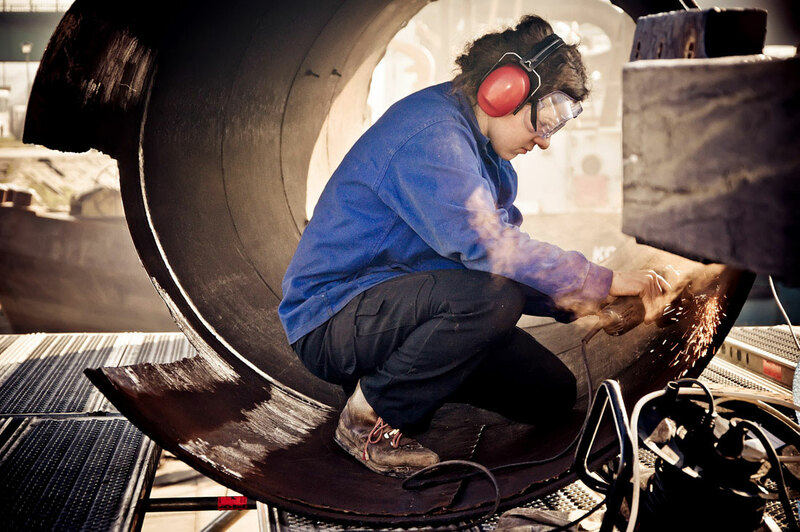 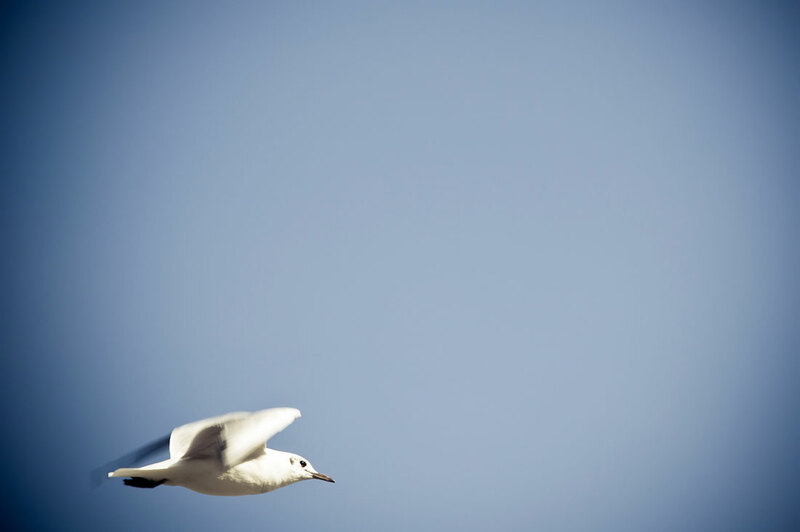 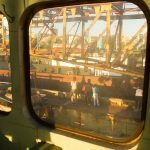 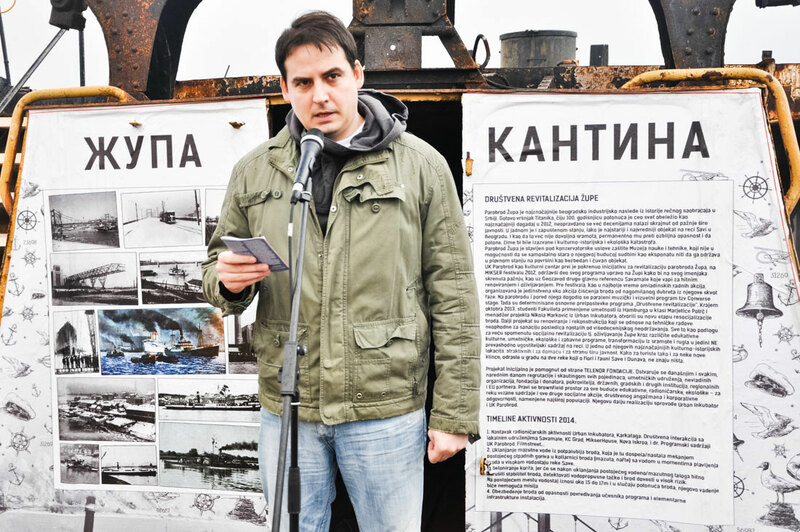 Today, Zupa is located at the Makiš shipyard around 10 km downstream from Savamala. 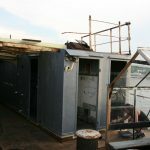 It is in very poor condition. 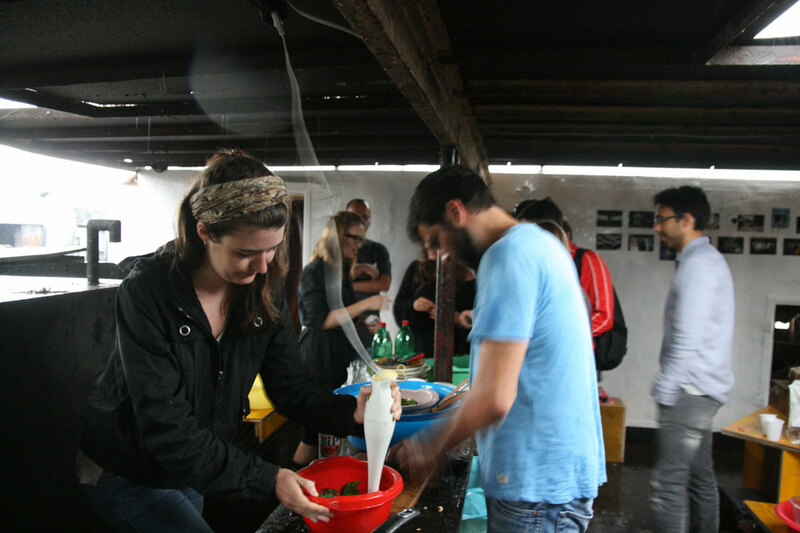 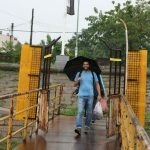 The project resulted in around 25 public events including international and local artists, cultural activists, students and other initiatives excursions and visit trips for the Faculty professors, students and Ngo members.